Just a quick post to let you know that I’m heading back to Greece soon. It’s been almost 25 years since my last visit, so I’m looking forward to seeing the changes since then. 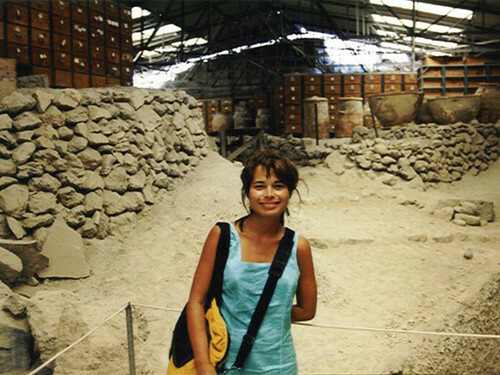 I’ll be returning to Akrotiri archeological site on Santorini island, and I’m planning (fingers crossed!) to FIT back in the green dress in photo above (from 1993). #LowCarbJo PLUS my personal trainer are both on full throttle! 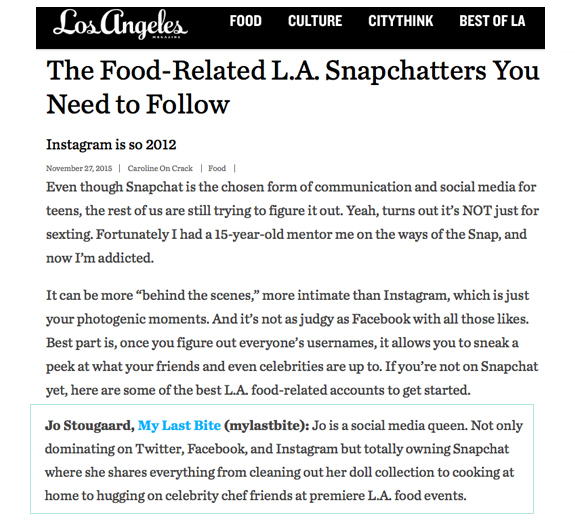 And again, I’ll be launching a new website in the near future so please follow me on instagram (MyLastBite). I’ll be posting food finds and fun on my instagram stories. Yamas! That’s cheers in Greek! What a trip! 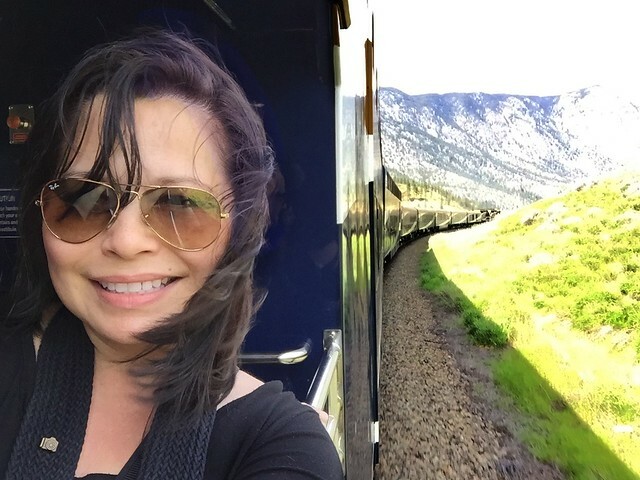 This was my first time aboard a Rocky Mountaineer Luxury Train. I’ve bit more traveling to do, then I’ll be settling down to catch up on writing about recent adventures. If you missed any of my social media posts, you can go to instagram and search #MyLastBiteTravels (for all my trips) or #JoCanada2017 for Rocky Mountaineer photos and video. I don’t know about you, but for years I resisted taking a cruise. One of the reasons is because, as a chronic dieter, I feared I’d gain too much weight. I had visions of me sunning on the pool deck while simultaneously stuffing my face with all-you-can-eat EVERYTHING. 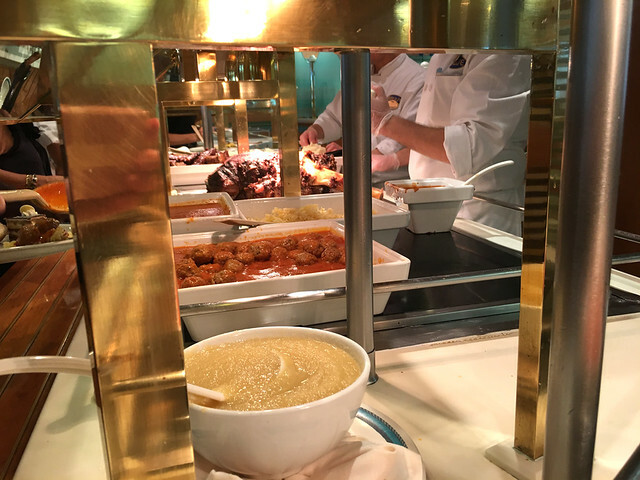 Frankly, the thought of multiple, unlimited buffet stations and countless cocktails (while confined on a ship) just freaked me out. 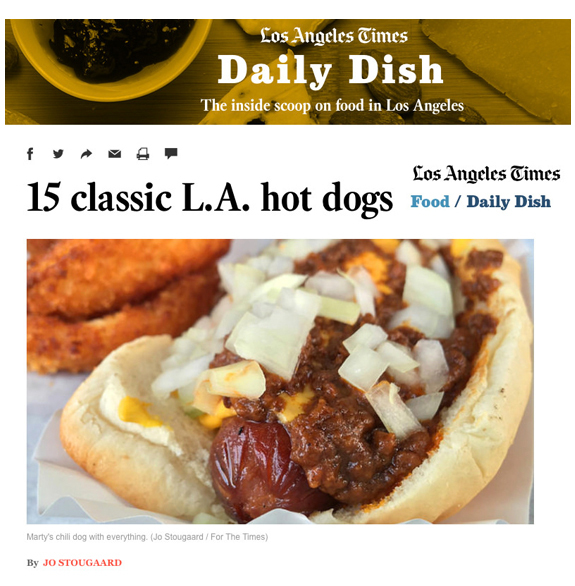 Writing about food and travel is my chosen profession, so I’ll always have to watch my waistline. Before I started eating low carb (at home) and got serious about my fitness tracker, I was gaining about five pounds a year. That all stopped when I started walking 10,000 steps, at minimum, per day and cut carbs from home meals. 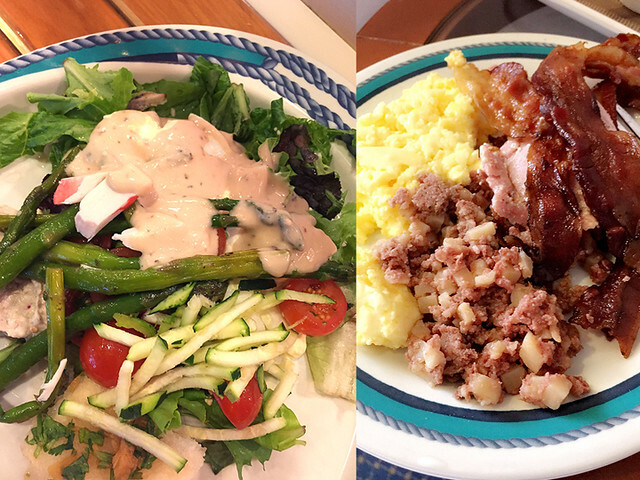 When I eat OUT, I try to eat low carb (when I can) and it’s a balancing act that, thankfully, stopped the annual weight gain. In my home kitchen I stock no sugar, sweets, white bread, rice, pasta or potatoes. That old “out of sight and out of mind” mantra definitely works when I cook and eat at home. But out on the open sea, on a large cruise ship, with thousands of strangers and endless food options tempting me? SHEER PANIC. But here’s the thing. 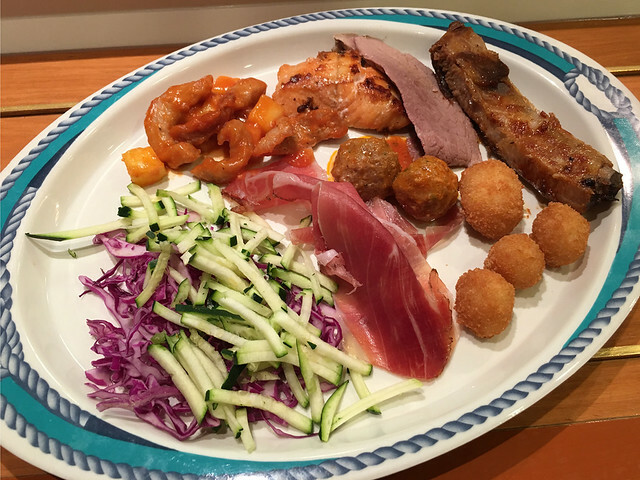 When I went on my first cruise (with Princess Cruises) last year, I ate A LOT and surprise, surprise… I didn’t gain ONE pound. It probably helped that I was traveling with my sister Janet, who is a super fit health nut. Even though I didn’t work out at the gym with her everyday, I still got extra steps in by walking as much as I could while on board. Don’t get me wrong, I didn’t suddenly go mad and run with my sister as she took the stairs UP to Aloha deck 12, but I did skip the elevators going DOWN and surpassed my 10,000 steps goal each day. 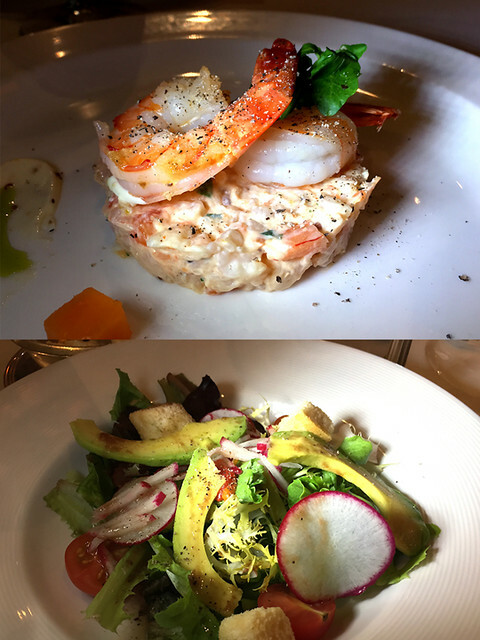 PHOTOS: Everything I ate and drank on a four night Princess Cruise (and didn’t gain weight)! Welcome champagne awaited us in our cabin. Plus we brought a bottle of Prosecco. Cheers! Lunch (buffet) on the deck. LowCARBish. Slaw, prosciutto, meatballs, fried scallops, brisket, beef, sweet & sour pork. Fried scallops. 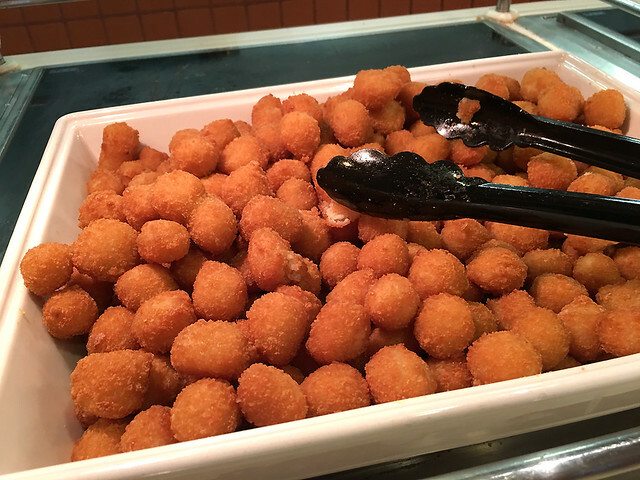 I thought they were tater tots. These were way better. Back to the buffet line. 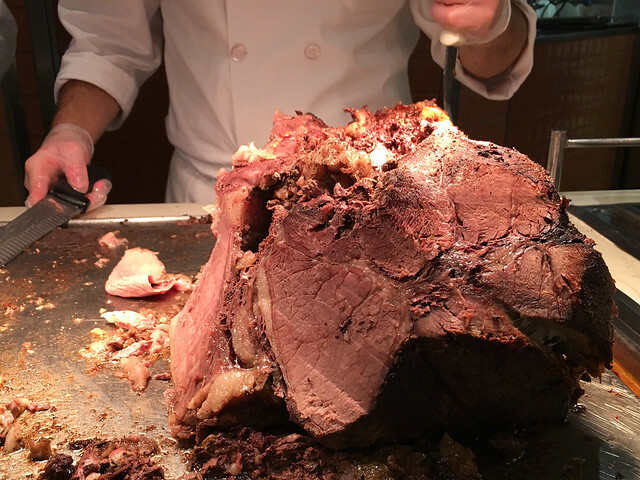 Roasts for miles. Also, low carb happiness. Wine on the top deck as we left the harbor. It’s always happy hour on a cruise right? Tempura Prawn in spicy sweet chili sauce. Happy hour (media meet & greet) at The Crooners Bar. 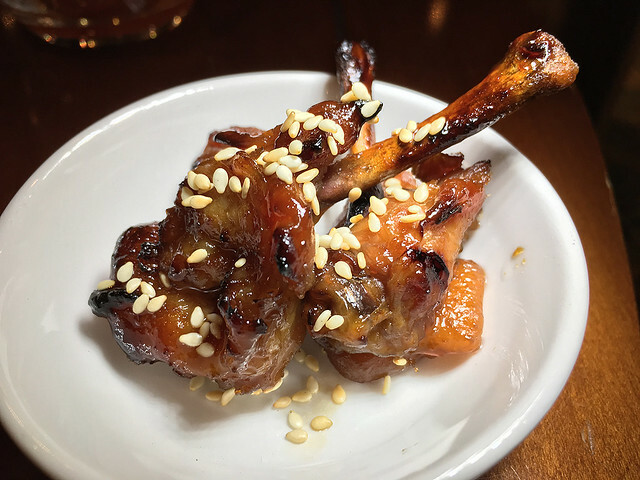 Chicken Lollipops with sesame. Happy hour (media meet & greet) at The Crooners Bar. Wild Mushroom Sauté w portobello & shitaki mushrooms, crispy poached egg, oregano smoked scamorza, truffle garlic puree and lemon zest. 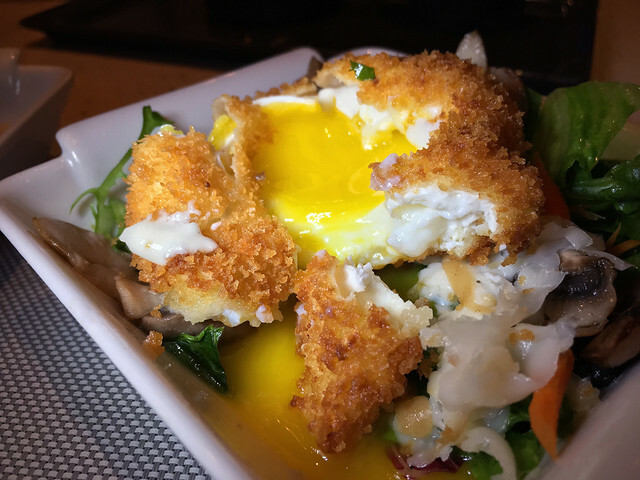 Dinner at the Salty Dog Gastropub by Chef Ernesto Uchimura. 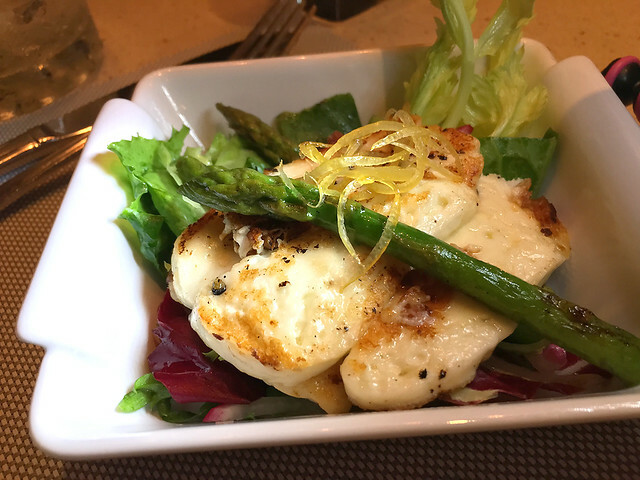 Charred Asparagus and Toasted Haloumi cheese, greens, vinaigrette. 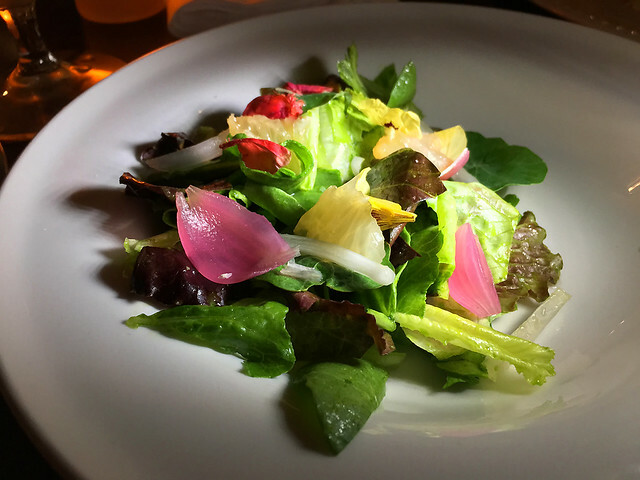 Dinner at the Salty Dog Gastropub by Chef Ernesto Uchimura. 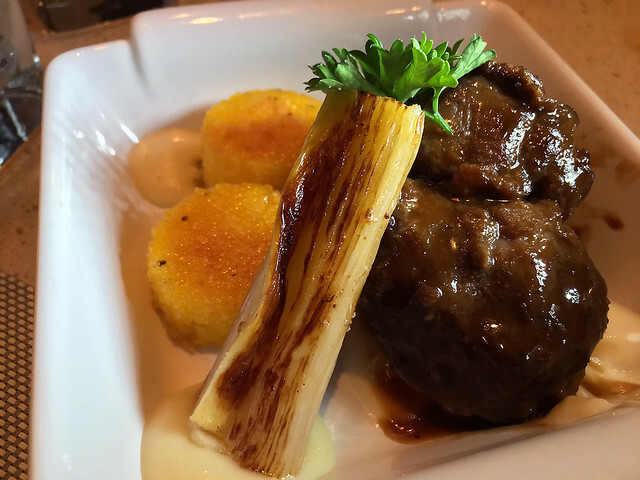 Pale Ale Pork Cheeks, cauliflower polenta, roasted leeks and thyme apple puree. 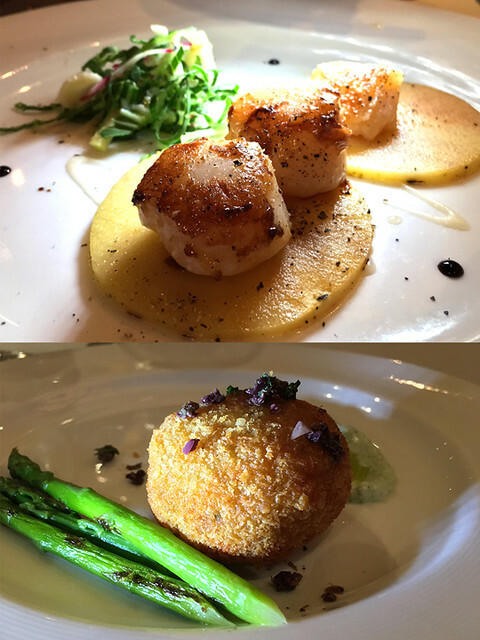 Dinner at the Salty Dog Gastropub by Chef Ernesto Uchimura. 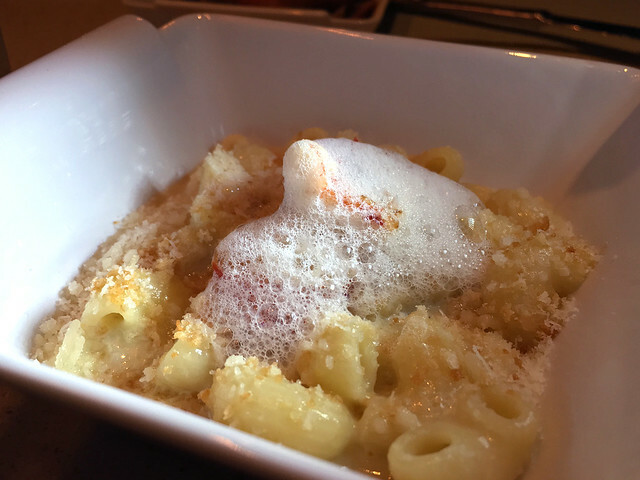 Lobster Mac & Cheese, aged cheddar, gruyere and parmesan, truffled cream, crispy crumble. Dinner at the Salty Dog Gastropub by Chef Ernesto Uchimura. 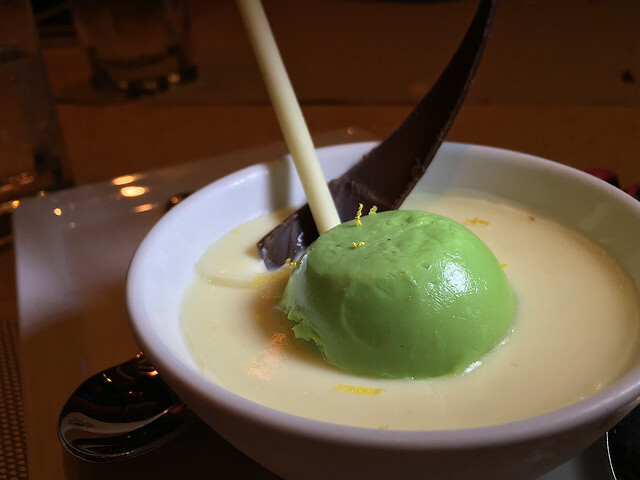 Lemon Posset with pistachio crunch. Dinner at the Salty Dog Gastropub by Chef Ernesto Uchimura. The Salty Dog Menu. Just one bite. I don’t have a sweet tooth. Sipping a vodka soda at the Salty Dog. Just times this by two each evening. Dinner at the Salty Dog Gastropub by Chef Ernesto Uchimura. 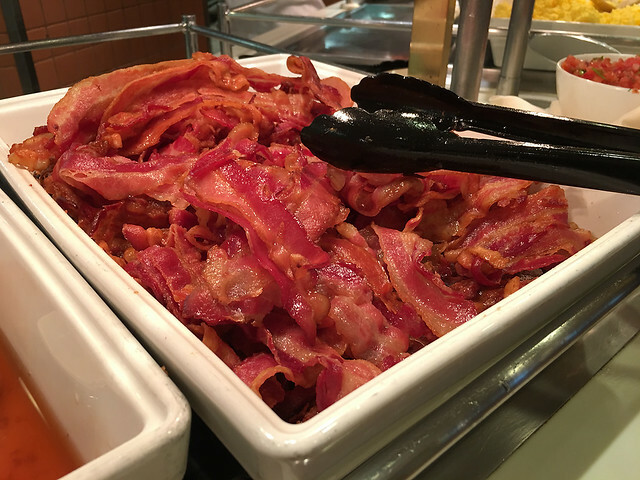 Unlimited Bacon. My heart was racing… I had to pace myself. 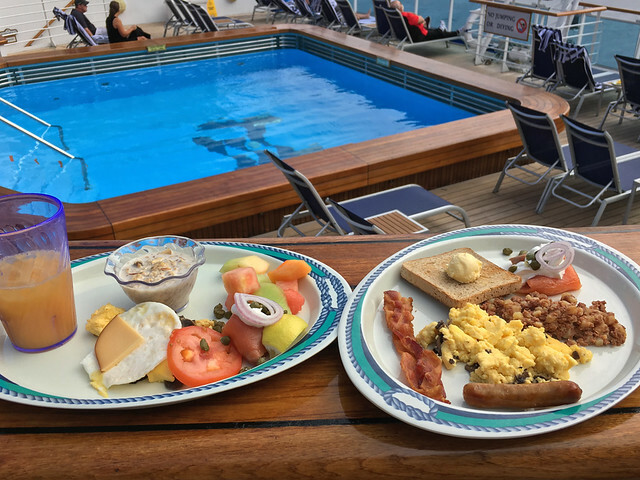 On board breakfast buffet. Breakfast carbs. I went for a slice of whole grain. And more bacon. 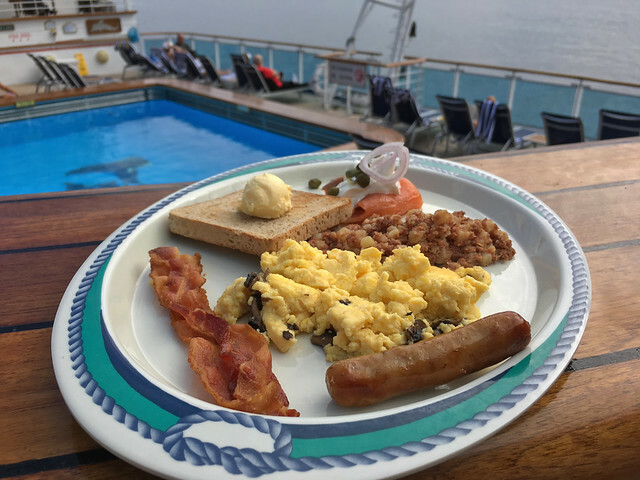 On board breakfast buffet. More options. 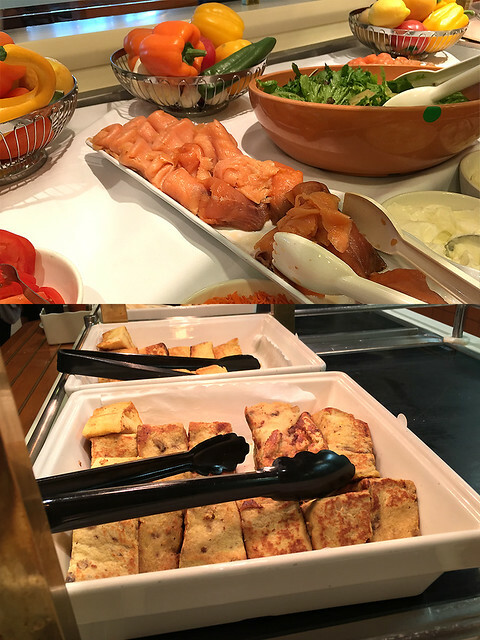 I chose smoked salmon over French toast… and more bacon. On board breakfast buffet. Late breakfast by the pool. My sister Janet’s breakfast to the left. Juice, muesli, egg white, fruit. Obviously mine is to the right! On board breakfast buffet. Round one included bacon, sausage, eggs, corned beef hash, smoked salmon and whole wheat toast. 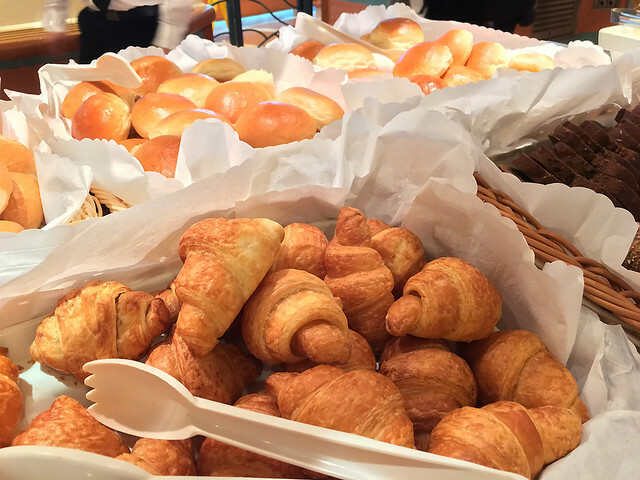 On board breakfast buffet. 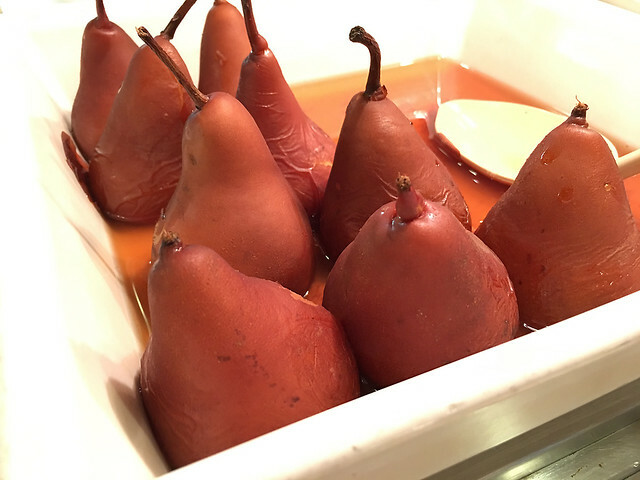 Serve yourself poached pears at the buffet. Fancy (and a nice afternoon snack). On board buffet. 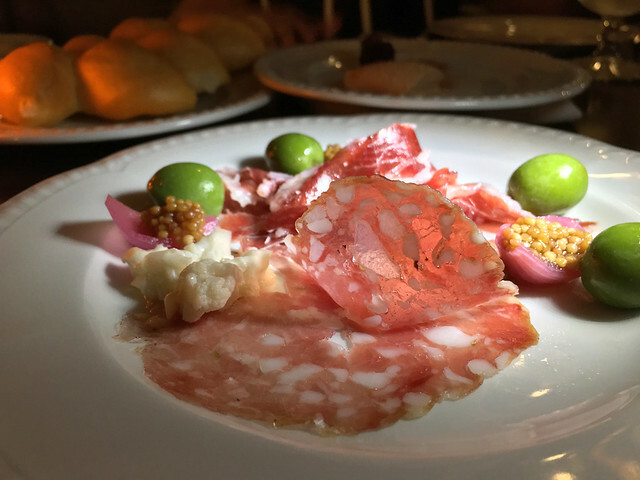 Charcuterie: Jamon Iberico, Salami Finocchiona at SHARE Restaurant by Curtis Stone (on board The Ruby Princess). 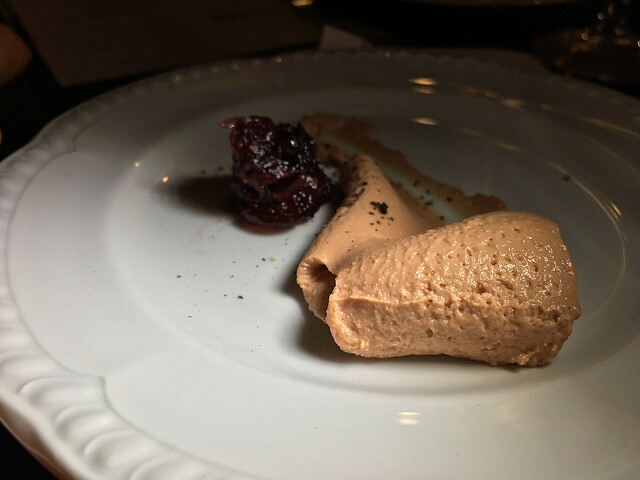 Chicken Liver Parfait at SHARE by Curtis Stone (on board The Ruby Princess). Little Gems, Pickled Pearl Onion, Oro Blanco, Nasturtium Pesto at SHARE by Curtis Stone (on board The Ruby Princess). 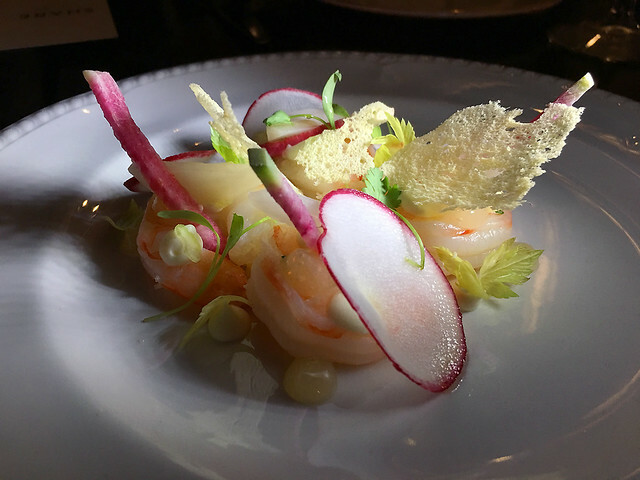 Shrimp Salad, Lemon Gel, Turnip, Citrus Salt, Brioche at SHARE by Curtis Stone (on board The Ruby Princess). 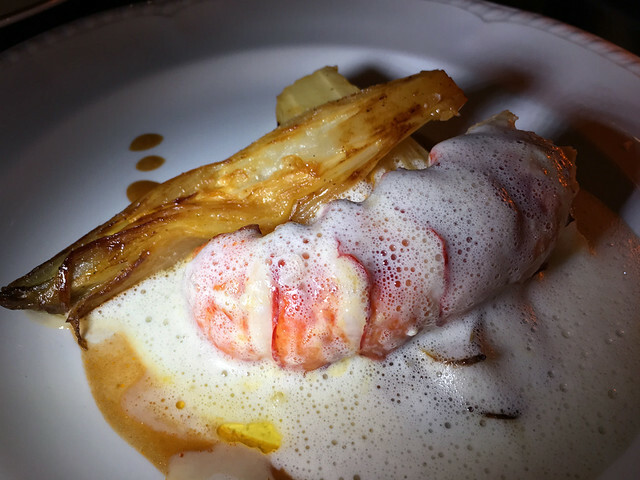 Butter Poached Lobster, Caramelized Endive, Endive Foam at SHARE by Curtis Stone (on board The Ruby Princess). 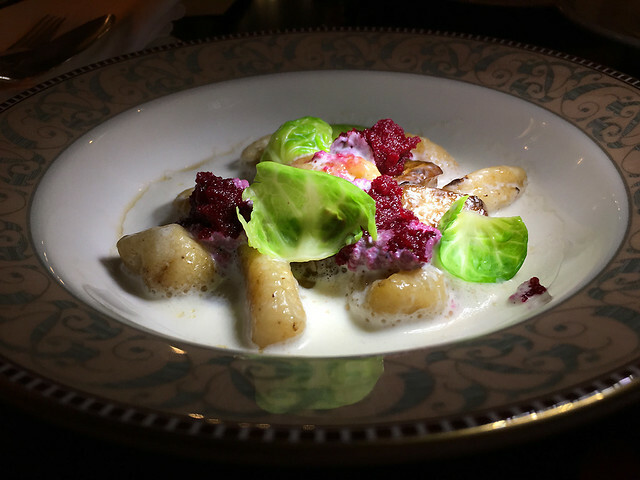 Cavatelli, Beets, Castelmagno, Sun Choke, Brussel Sprout at SHARE by Curtis Stone (on board The Ruby Princess). 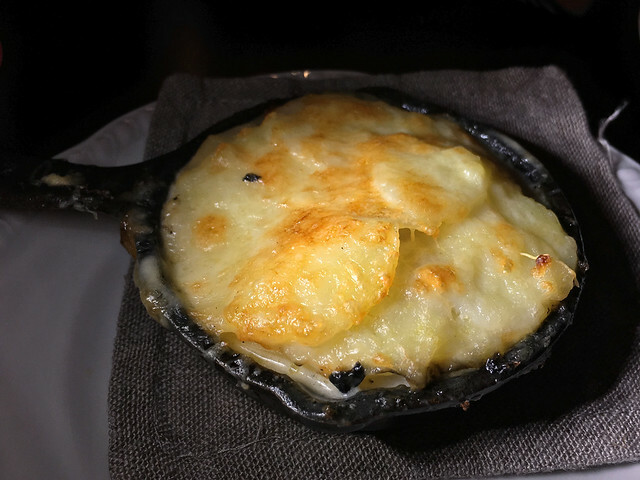 Potato Gratin, Truffles, Cream at SHARE by Curtis Stone (on board The Ruby Princess). 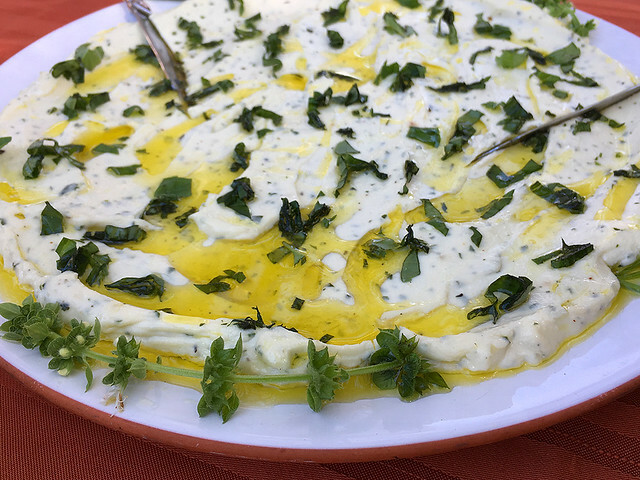 Side dish shared at the table. 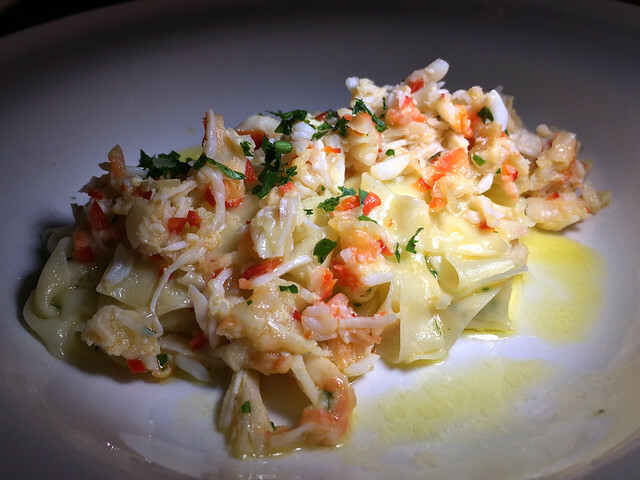 Roasted Alaskan King Crab Tagilatelle, Chili, Parsley at SHARE by Curtis Stone (on board The Ruby Princess). 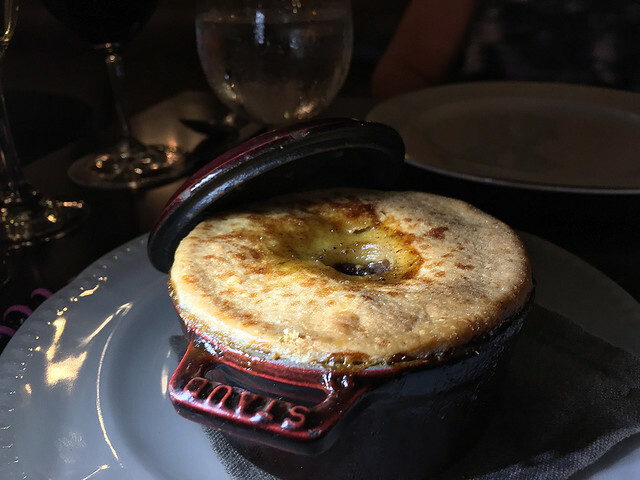 Beef Cheek Pie, Porcini Mushrooms, Buttery Pastry at SHARE by Curtis Stone (on board The Ruby Princess). 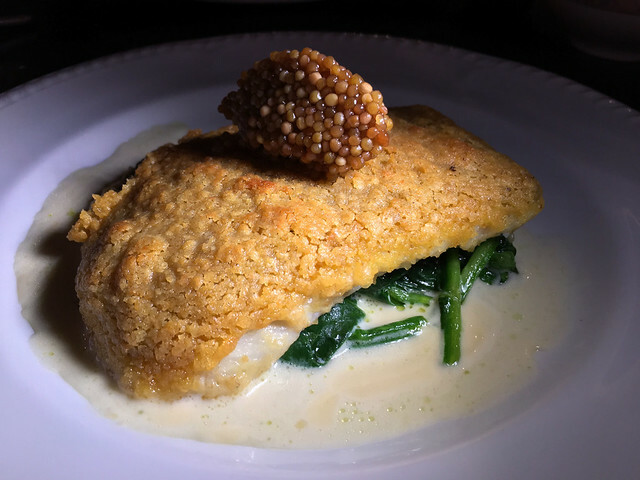 Roast Turbot White Fish Gratine, Gruyere Crumb, White Vermouth, Mushroom Duxelles at SHARE by Curtis Stone (on board The Ruby Princess). 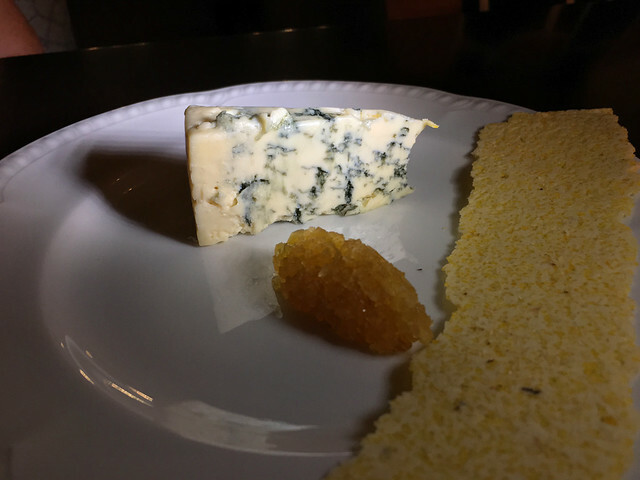 Shaft Blue Cheese, Crab Apple Mustard, Chestnut Cracker at SHARE by Curtis Stone (on board The Ruby Princess). 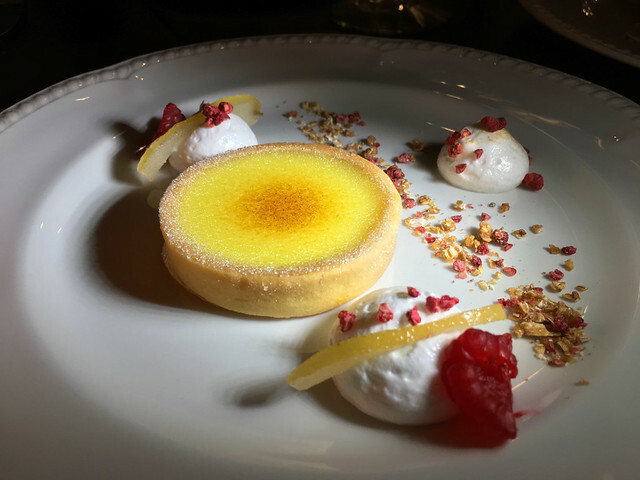 Tarte Au Citron Vert, Raspberry, Granola, Meringue at SHARE by Curtis Stone (on board The Ruby Princess). Just one bite. 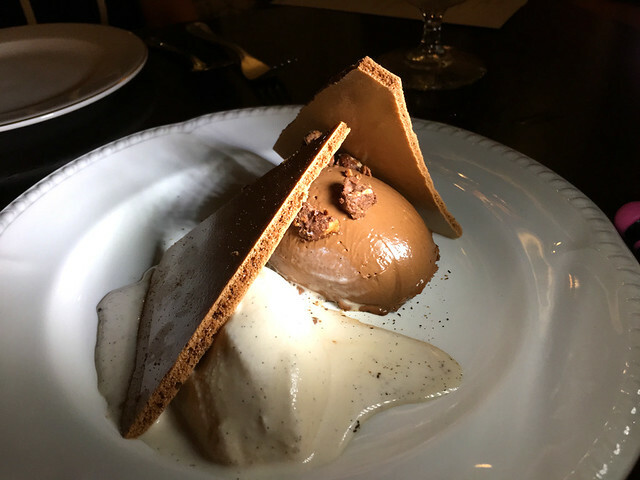 Dark Chocolate Cremeux, Toasted Hazelnut Feuilletine, Burnt Vanilla Ice Cream at SHARE by Curtis Stone (on board The Ruby Princess). Again, just one bite. More photos of SHARE Restaurant here. 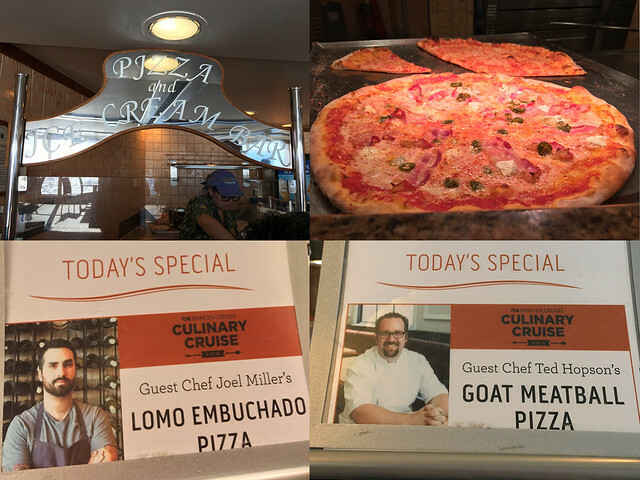 There’s a Pizza and Ice Cream bar on board!! Lines were long, but I waited (for pizza). 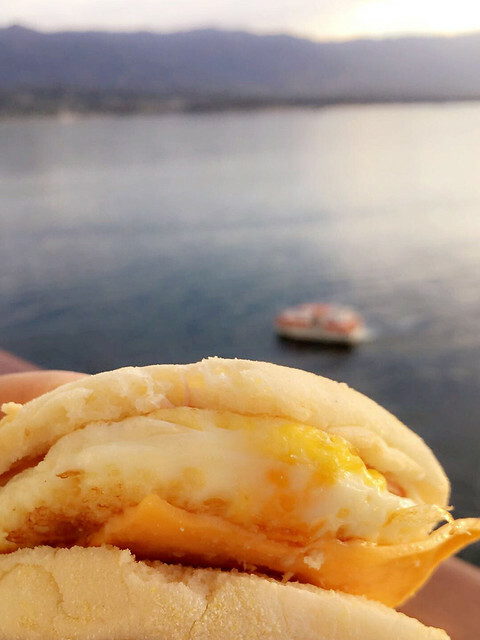 Hand-tossed and cooked on deck. It was far from my cabin so extra steps. HA! Buffet brunch on board. My sister’s salad to the left. My egg and meat fest to the right. Dinner on board at The Crown Grill Restaurant (premium seafood and chop house). Photos were difficult (so dark). 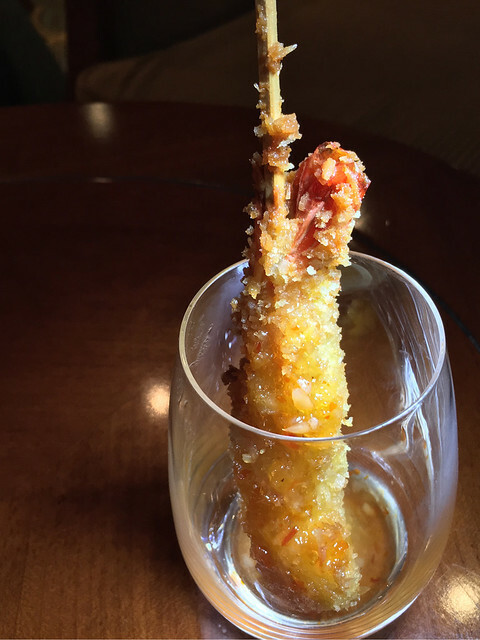 Black Tiger Prawn & Papaya Salpicon, with Mustard Seed Aioli. Grill Salad with Mesclun Greens, Roasted Bell Peppers, Hass Avocado and Grape Balsamic Dressing. Pan-Seared Pacific Scallops with Fennel, Celery and Spring Onion Slaw Golden Delicious Dressing & Moroccan Glaze. Spiny Lobster Cake (ball), Tarragon Foam, Cured Olives, Grilled Asparagus on board at the Crown Grill. STEAKS! 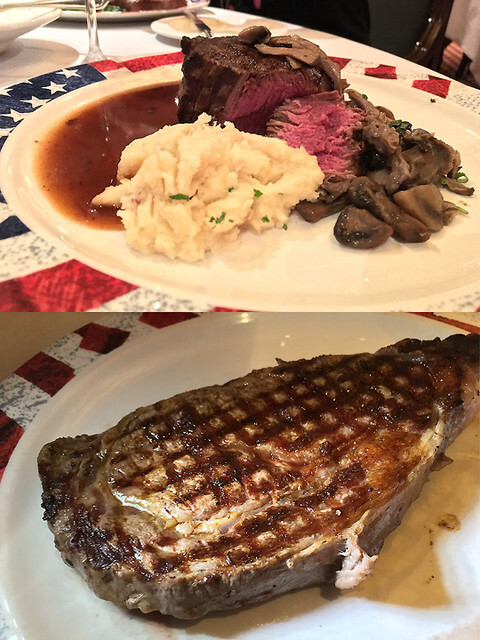 I tried both the filet mignon and New York strip steak. The Crown Grill (on board The Ruby Princess). 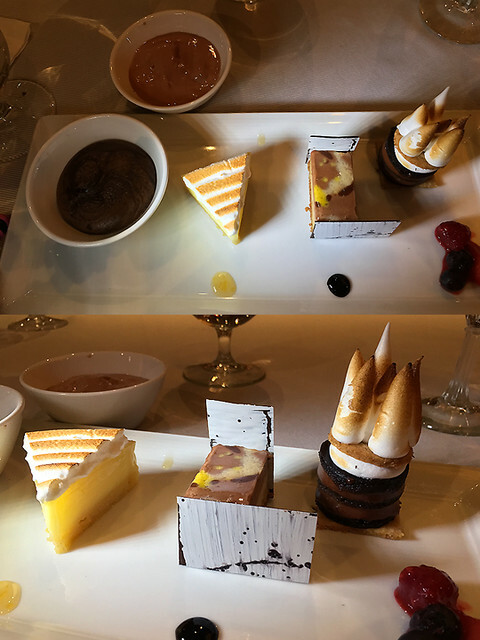 Desserts on board at the Crown Grill. This was shared with several people. Lemon Meringue Pudding, Tart with Macadamia Nut Shortbread White Chocolate Tuile, S’mores Stack. 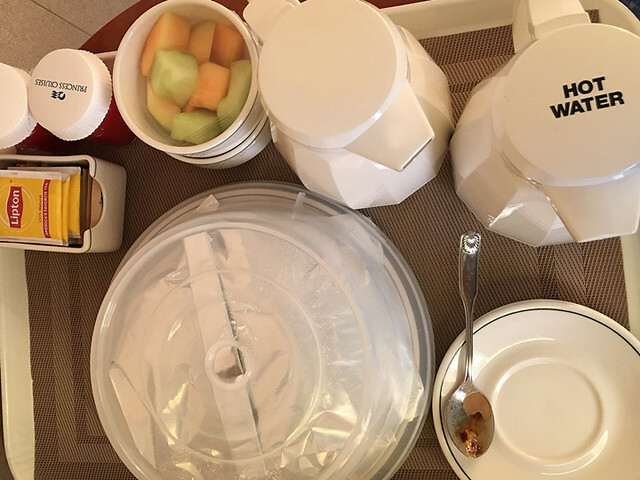 Early morning room service (before excursion) on board. Room service breakfast sandwich on board. Excursion tender (boat) in background. I skipped the muffins. 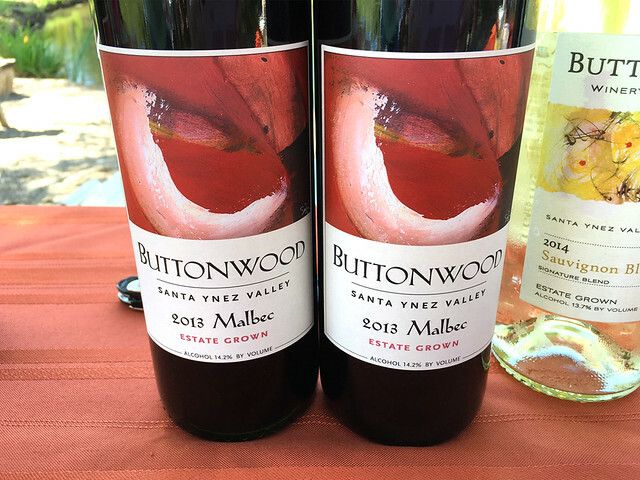 First stop on our Cruise Excursion to Santa Barbara was Buttonwood Winery in nearby Solvang. 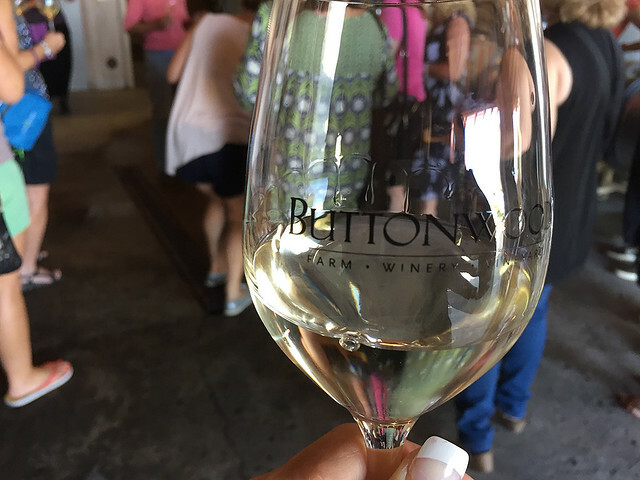 We started with Buttonwood Sauv Blanc at Buttonwood Winery. Cruise Excursion: Wine Tasting in Solvang. Goat Cheese at Buttonwood Winery. Cruise Excursion: Wine Tasting in Solvang. 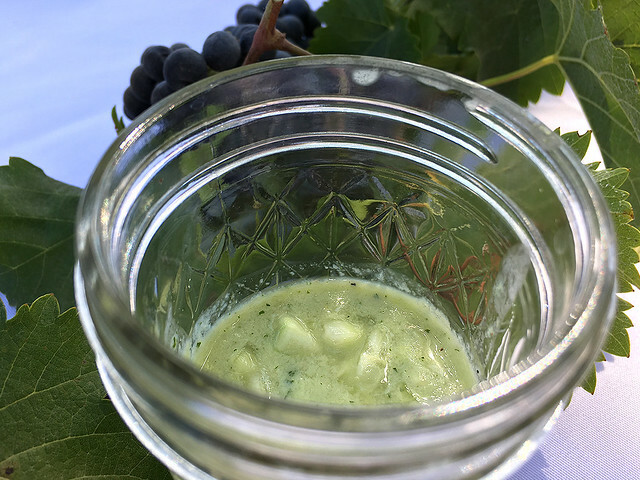 Cucumber, Avocado, Jalapeños, Scallions, Cilantro, Yogurt Chilled Soup at Buttonwood Winery. Cruise Excursion: Wine Tasting in Solvang. 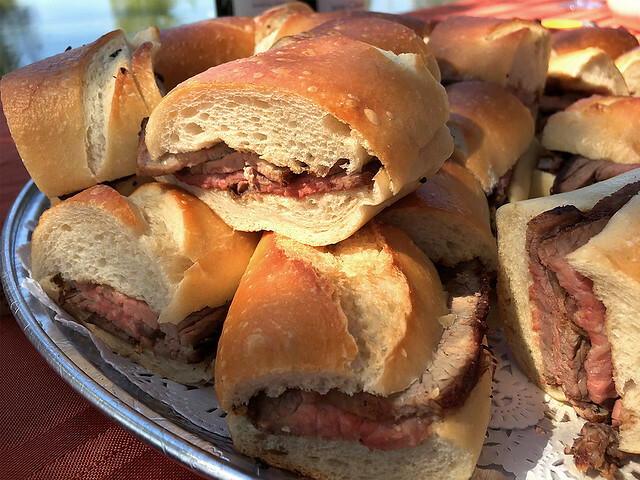 Santa Maria Trip Tip Sandwiches at Buttonwood Winery. Ate the meat, left the bread. 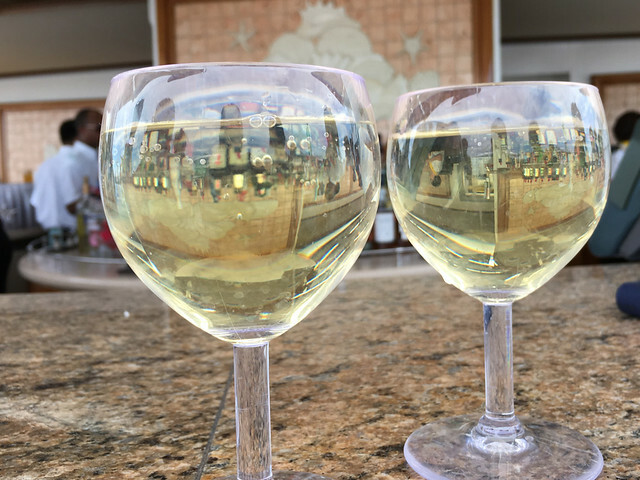 Cruise Excursion: Wine Tasting in Solvang. More photos of Buttonwood winery here. 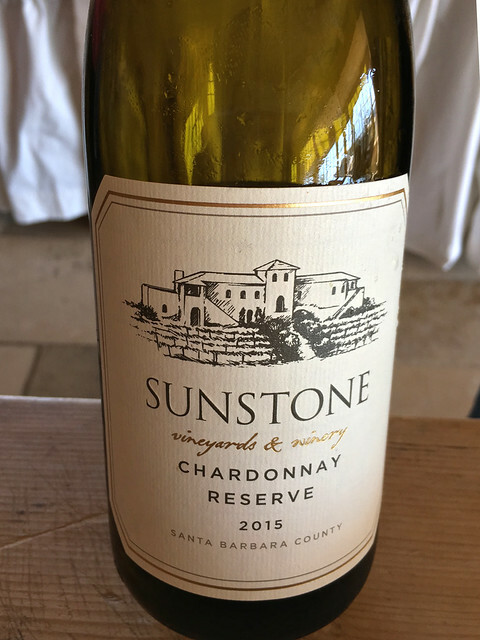 At Sunstone Winery we started with Chardonnay. Cruise Excursion to Santa Barbara. 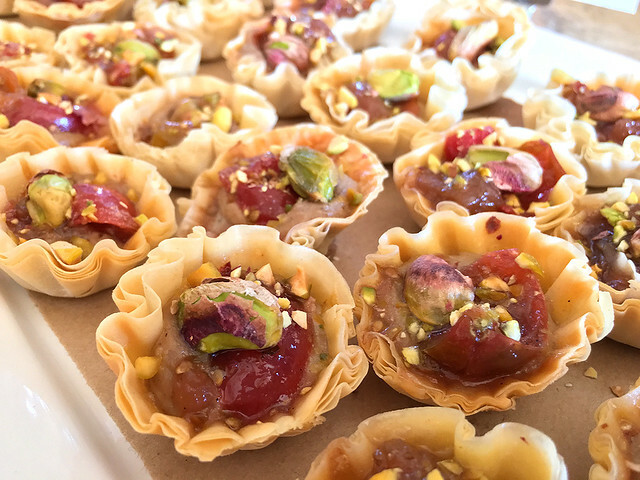 Foie Gras Mousse Tarts w Tomato, Strawberry Jam & Pistachio at Sunstone Winery. Cruise Excursion: Wine Tasting in Santa Ynez. 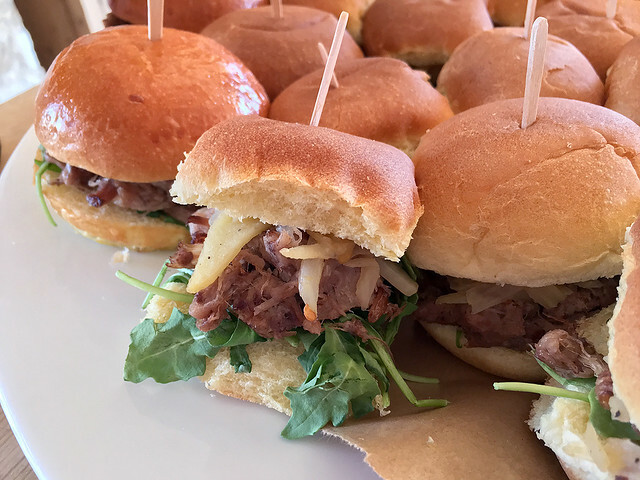 Pork Belly Sliders with cumin & cinnamon with apple, fennel relish and baby arugula at Sunstone Winery. Cruise Excursion: Wine Tasting in Santa Ynez. Pork fest. 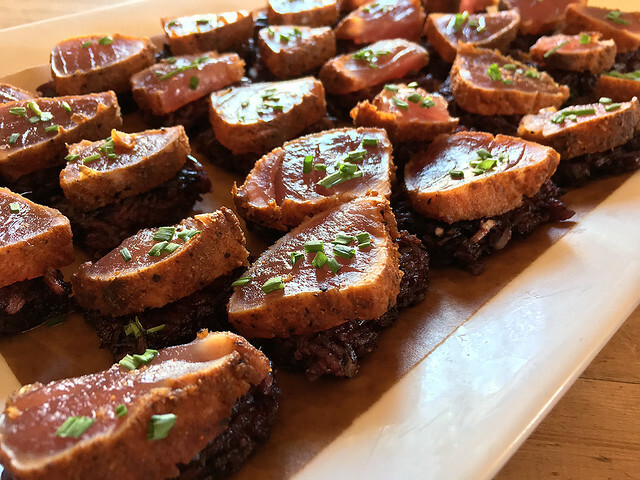 Blackened Seared Ahi tuna, Sticky Rice Cake at Sunstone Winery. Cruise Excursion: Wine Tasting in Santa Ynez. 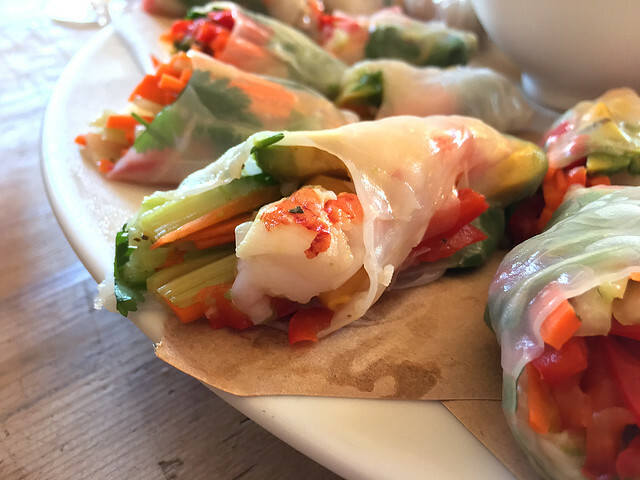 Seafood Spring Rolls at Sunstone Winery. Cruise Excursion: Wine Tasting in Santa Ynez. So much fun! More photos of Sunstone Winery here. Shrimp Tacos at Tacos Marco Antonio. 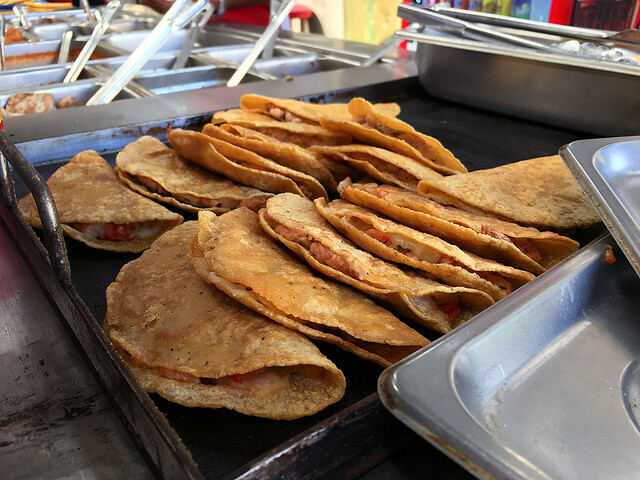 Cruise Excursion: Ensenada, Mexico Food Tour. Indulge time. I ATE all the tortillas and tacos today. 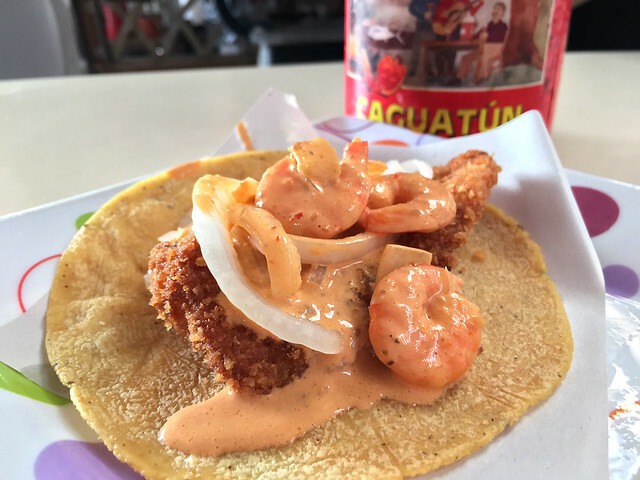 “Ramses Especial” Breaded fish fillet with shrimp and chipotle cream at Tacos Marco Antonio. 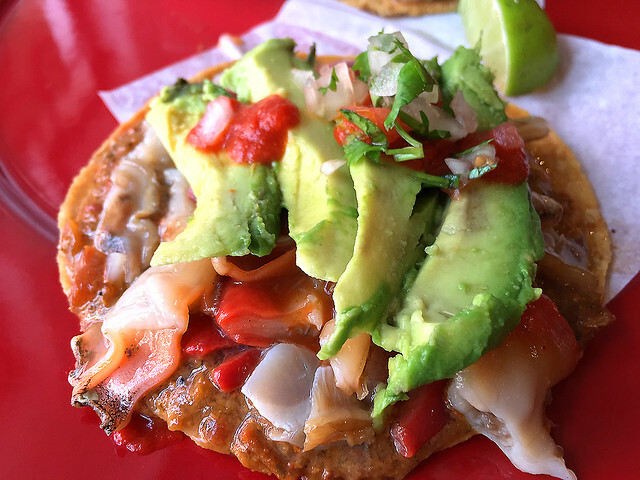 Cruise Excursion: Ensenada, Mexico Food Tour. Crab tacos at Tacos Marco Antonio. 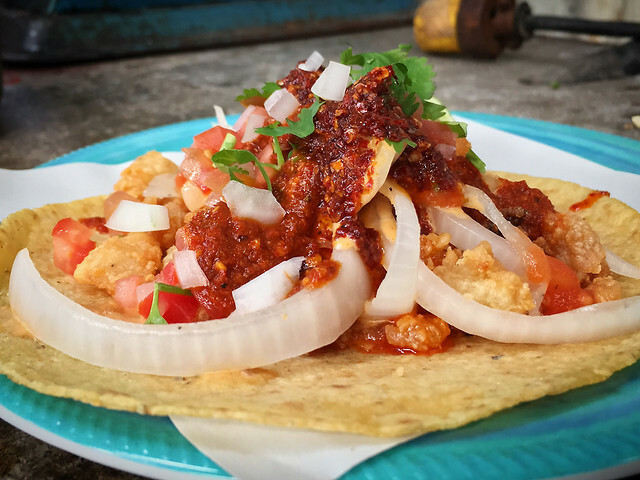 Cruise Excursion: Ensenada, Mexico Food Tour. 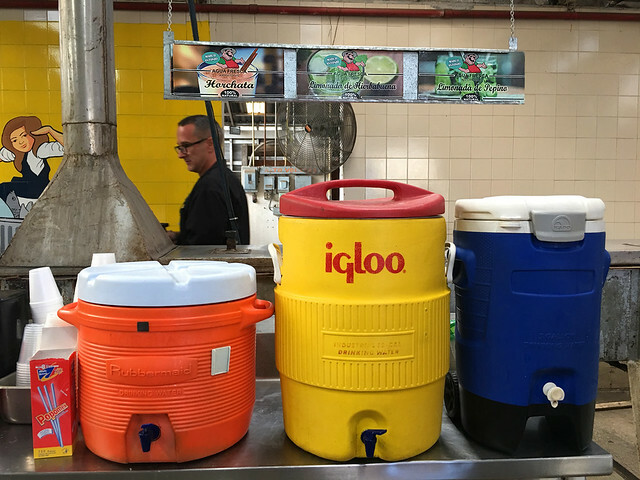 Agua Fresca (I had the horchata) at Tacos Marco Antonio. Cruise Excursion: Ensenada, Mexico Food Tour. More photos of Tacos Marco Antonio here. Sea Snail Ceviche with slices of sea snail (Ceviche De Caracol Con Lajas De Caracol) at La Guerrerense & Sabina. 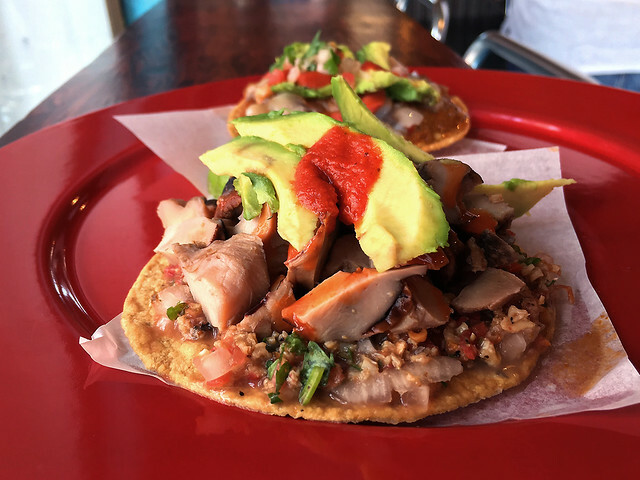 Cruise Excursion: Ensenada, Mexico Food Tour. Sea Urchin Ceviche with Clam on top (Ceviche De Erizo Con Alma) at La Guerrerense & Sabina. Cruise Excursion: Ensenada, Mexico Food Tour. 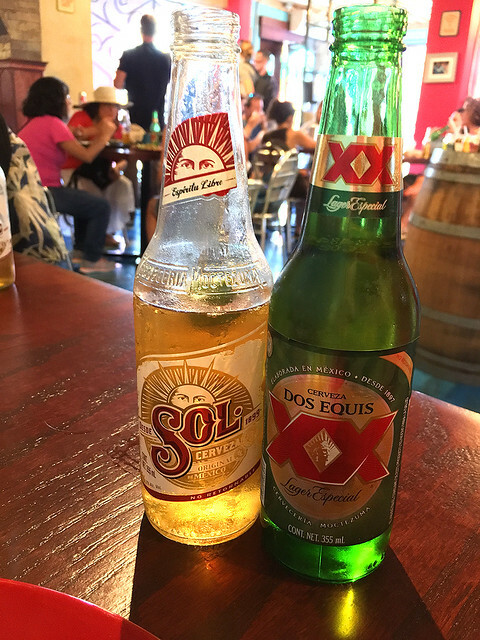 Cerveza at La Guerrerense & Sabina. 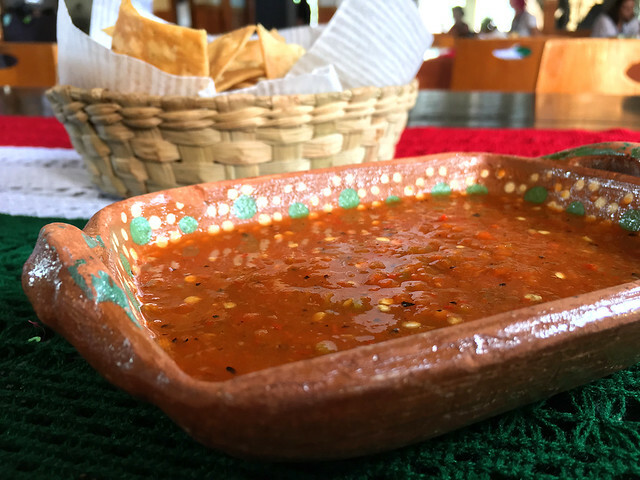 Cruise Excursion: Ensenada, Mexico Food Tour. More La Guerrerense photos here. 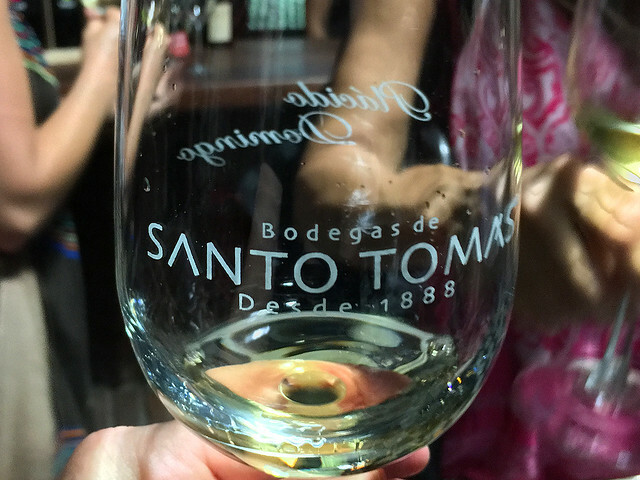 Santo Tomas Wine Tasting. 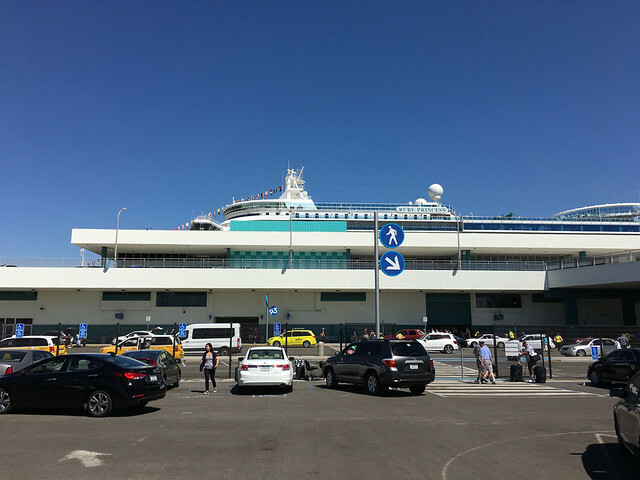 Cruise Excursion: Ensenada, Mexico Food Tour. 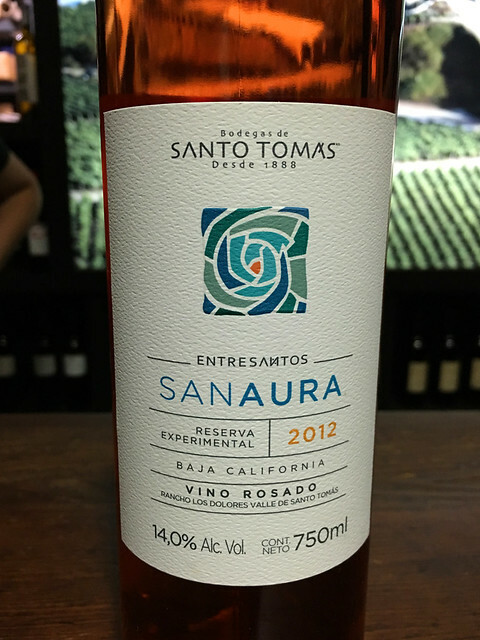 San Aura Vino Reserva Experimental Rosado, Grenache, Santo Tomas Wine Tasting. Cruise Excursion: Ensenada, Mexico Food Tour. 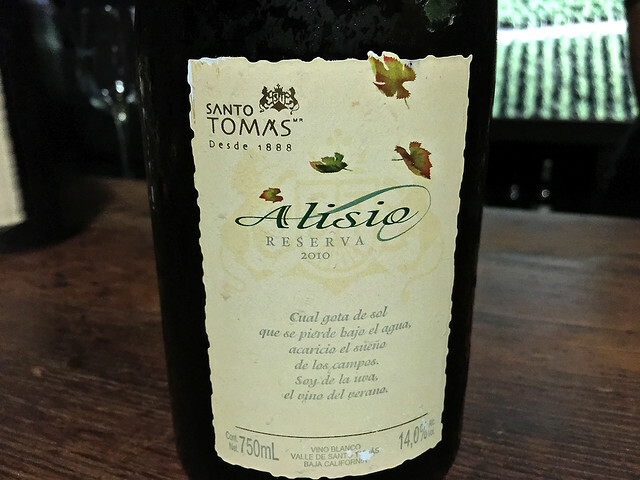 Alisio Reserva Vino Blanco, Chardonnay, Santo Tomas Wine Tasting. Cruise Excursion: Ensenada, Mexico Food Tour. Fiery salsa and chips at Restaurante 645. 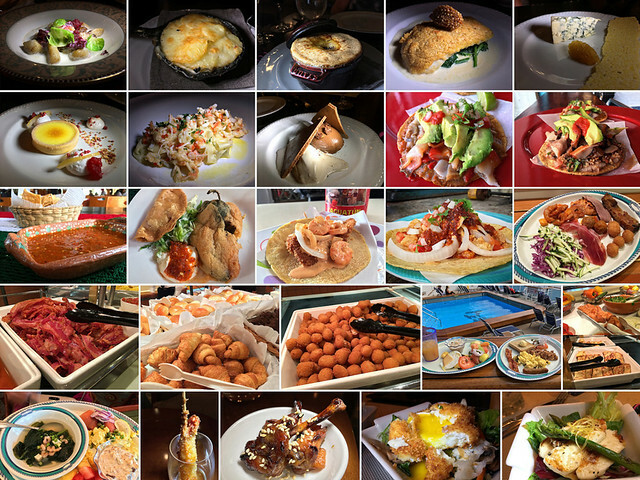 Cruise Excursion: Ensenada, Mexico Food Tour. 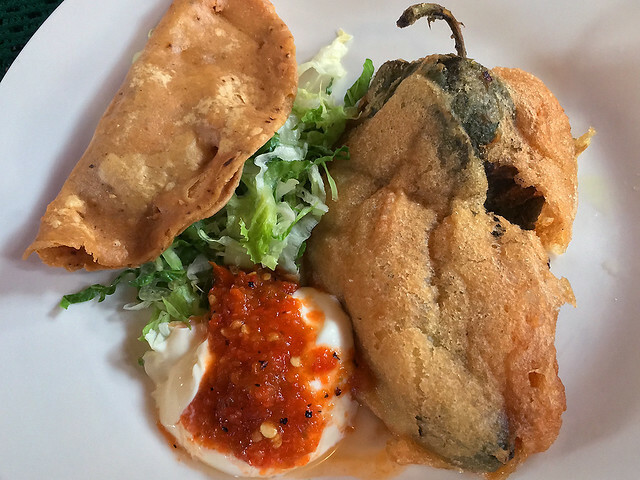 Chile Relleno and Tacos at Restaurante 645. 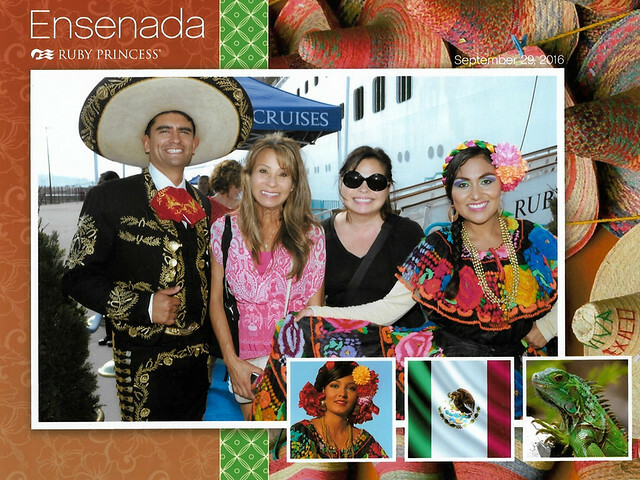 Cruise Excursion: Ensenada, Mexico Food Tour. Quite a day in Ensenada! Still hungry? Me too. Let’s go! This media trip was paid for by Princess Cruises. 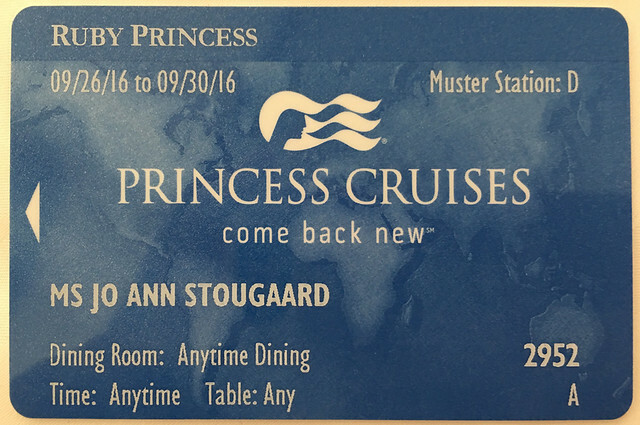 Thinking about taking a Princess Cruises cruise? Read about my first day on board. 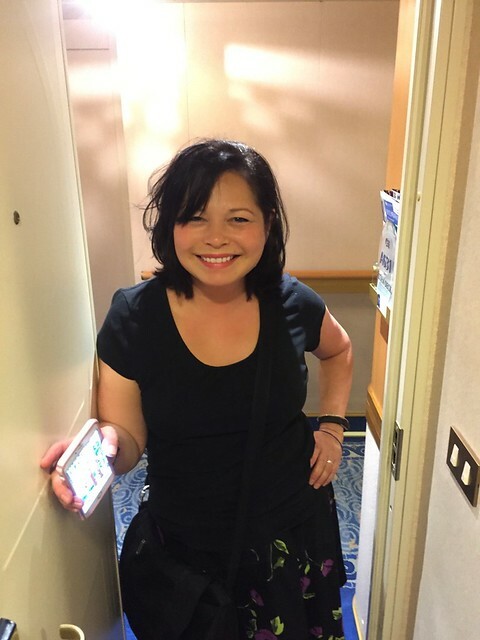 Guest Blog Post – Diary of a Princess (Cruise). 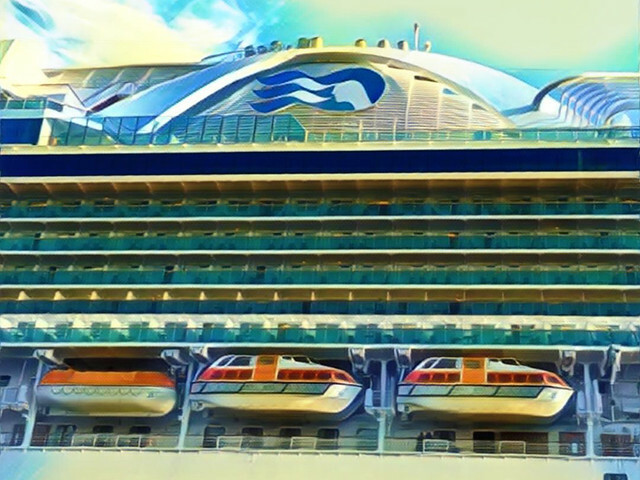 Princess Cruises on twitter, instagram, facebook. 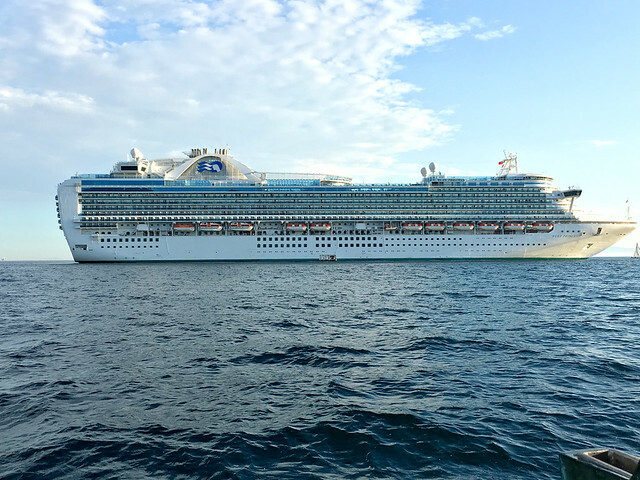 Video – The Ruby Princess. 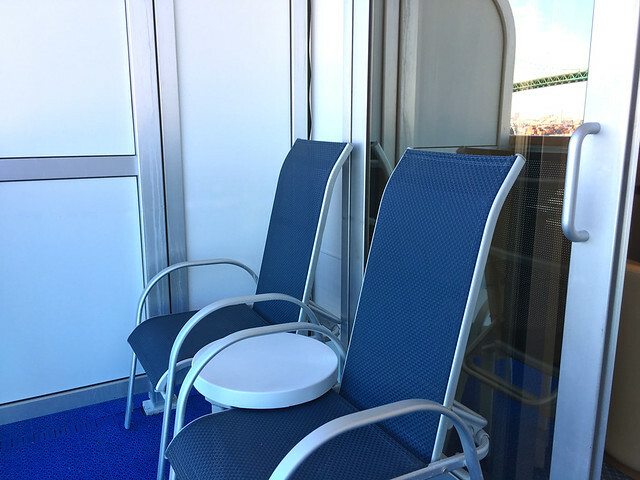 Princess Cruise News (including the debut of Ocean Medallion). I’m spending Christmas in Bridge of Weir, Scotland this year. It’s the first time I’m waking up on Christmas morning with my dad, since 1969 (when we lived in Okinawa). 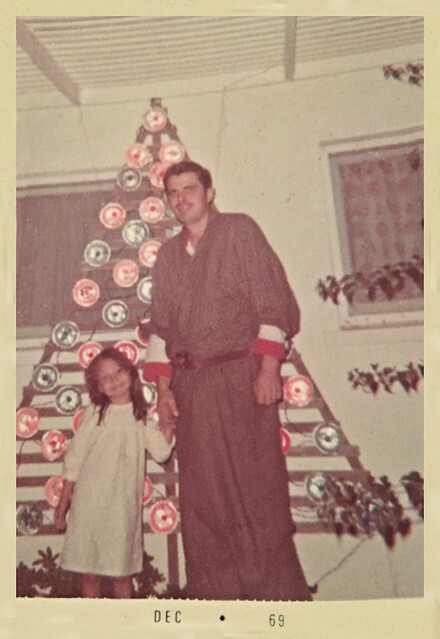 The photo below was taken (47 years ago) in the back yard of our home in Okinawa, just before my parents marriage fell apart. I love the snapshot, not only because I’m so HAPPY with my daddy, but also because of the custom tree he made for us. Can you tell what it’s made from? No? Well, the tin circles are used chicken pot pie containers! I’m hoping to recreate a version of the tree today. Follow me on instagram at @MyLastBite to see more. Have a wonderful Christmas all! 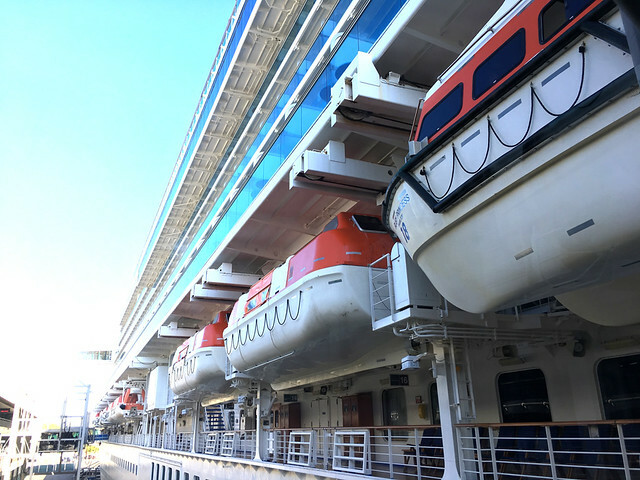 The Ruby Princess – Welcome Aboard! Cruising never really interested me in the past. I’ve always loved traveling, even as a child when I lived in Okinawa (where I was born in 1964). Airplanes, especially jumbo jets, still give me great comfort when I step inside and take my seat. 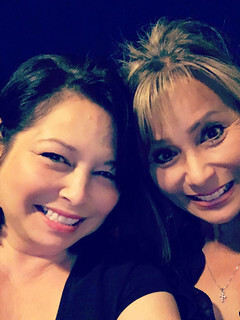 My sister Janet is a few years older than me, and we often joined our parents for long-haul (1960s era) flights from Okinawa (via Tokyo to Honolulu) to California where our grandparents lived. Our dad was in the Navy when he met our mother in Okinawa during the Vietnam War. 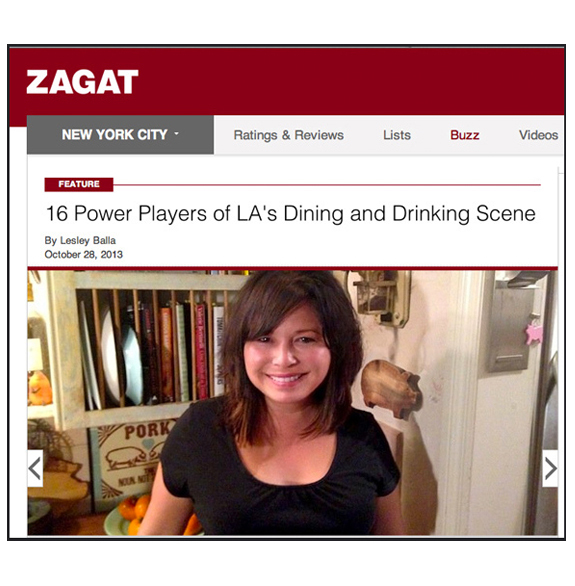 She ran successful nightclubs for most of her life, until she passed away in 2013. After they divorced in the early 70s, Dad moved to Scotland and remarried. When one of your parents lives (lived) in Okinawa and the other resides in Scotland, traveling is simply a way of life. It’s not about “taking a holiday” or saving up for a vacation. In my 20s, I was married to an airline pilot, which really fueled my travel bug. Back then (in the mid 80s), major airlines used hand-written tickets for employees. This meant that when the ex was a pilot at United Airlines, I (as his wife) could enter any worldwide destination and just GO there. During that time, I started working for a wildlife photographer, which was one of the best jobs I’ve ever had. Those free airline tickets took me around the world, including safaris in Africa and polar bear expeditions in the Arctic. It was flying, not cruising that moved my world. Taking a cruise just wasn’t a part of the conversation back then. It didn’t help that my ex-husband referred to large cruise ships as, “floating kitty litter boxes”. That stuck for years. Besides his disdain for cruises, he also didn’t eat seafood or cheese. Those were what we called “irreconcilable differences”. 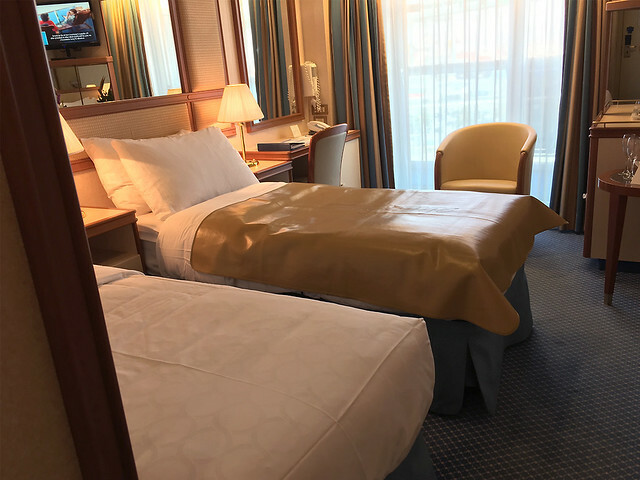 In September, when Princess Cruises invited me on a media cruise, they said I could invite a guest as long as we shared a room. I first asked my husband Peter to join me (we met in ’94), but he was too busy with work, so I invited my sister Janet. We hadn’t really traveled together except to visit our father in Scotland, and more recently, to bury our mother in Okinawa. We are so different, my sister and me. For starters, she doesn’t eat meat (just fish), and she LOVES to exercise. Janet will work out for hours a day if she could. Me? I’m the bacon-obsessed overeater and am happy if I get 10,000 steps on my fitbit (step counter) each day. How did we handle a cruise TOGETHER? This being, BOTH our first cruises? Did we make it through without disagreeing? 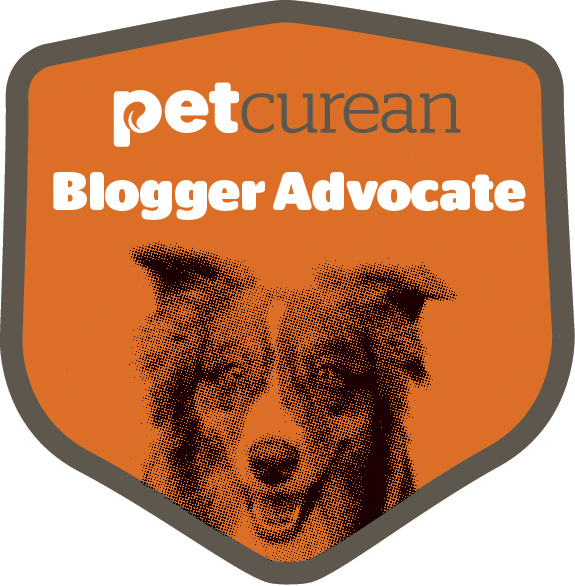 Check back soon for more blog posts, including a guest post by Janet as well. 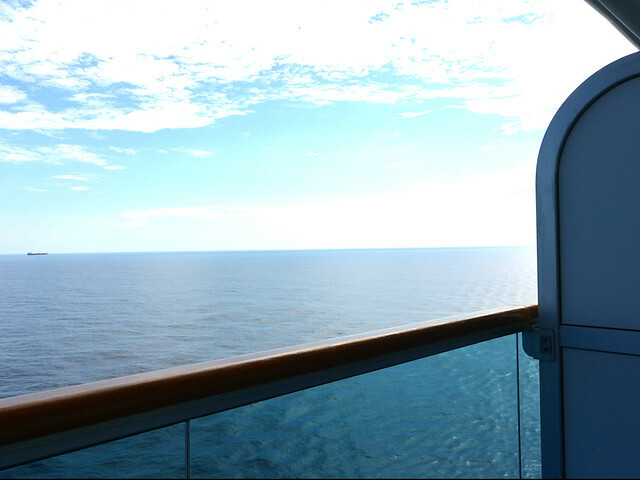 For now, let’s get on board the gorgeous Ruby Princess. 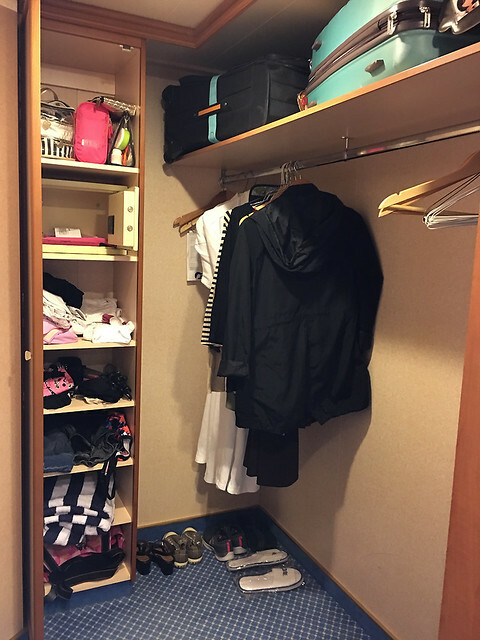 Hopefully, these photos will be helpful to those who are considering their first cruise. Enjoy! 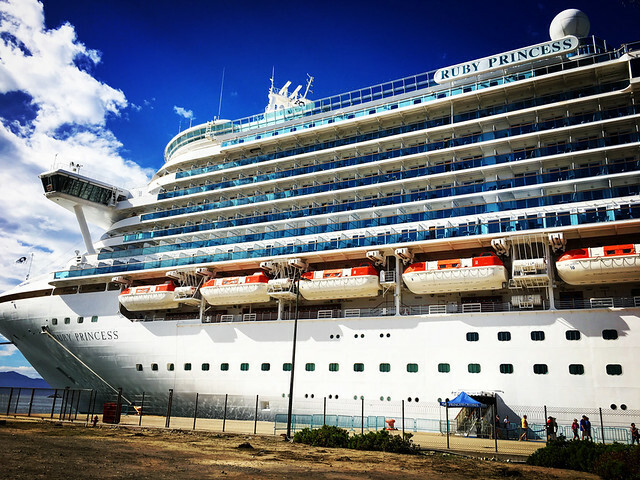 Partial view of the Ruby Princess from the World Cruise parking lot ($17 max per day) in San Pedro, CA. You print and tag your checked bag at home then leave them with a Princess Cruises porter at the curb before parking. They (thankfully) deliver the bags to each room. 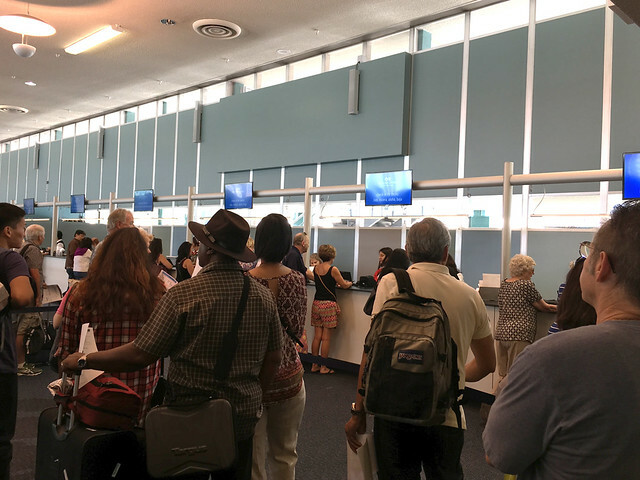 Checking in is similar to an airport terminal. 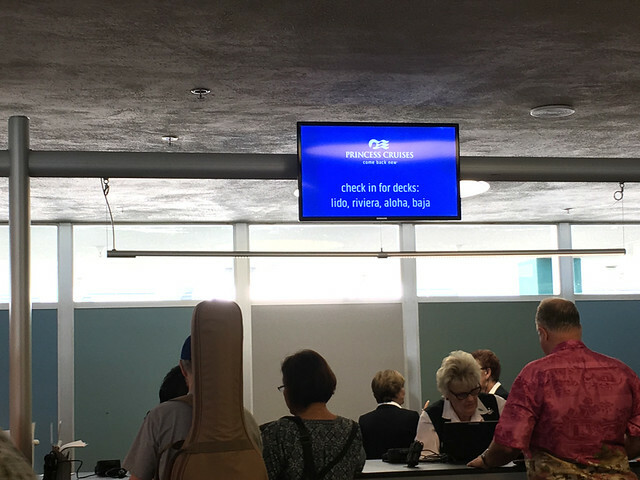 Look for your deck check-in on the screens. You’ll have received the info via email itinerary. 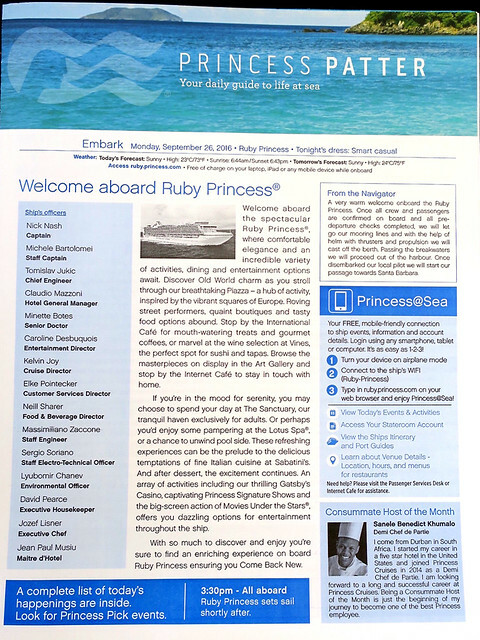 Ruby Princess Cruise Card. It’s your everything on the ship, from cocktails, buffet and the gift shops. The card (size of a standard credit card) is also swiped when you disembark and embark the ship. Security will also take your photo to match up with the card information. After you’ve checked in you’ll go through metal detectors and security. Note: You can only bring one bottle of wine or champagne per adult. 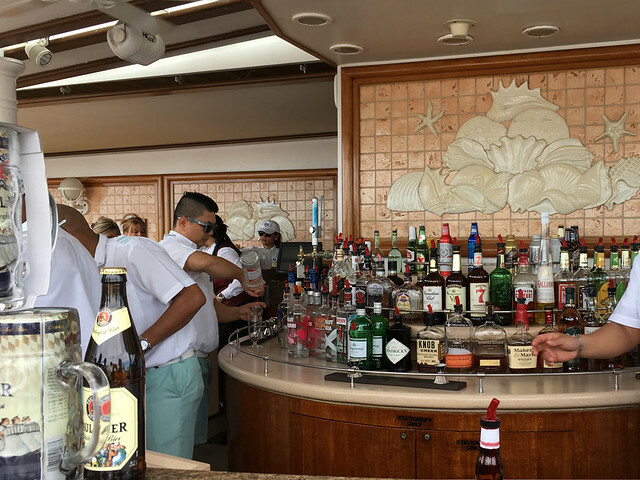 Don’t worry, there’s plenty of booze on the ship (trust me)! Boarding the Ruby Princess. The ship (launched in 2008) can accommodate 3080 passengers and was refurbished in December 2015. Click on “Ship Facts” for more details here. 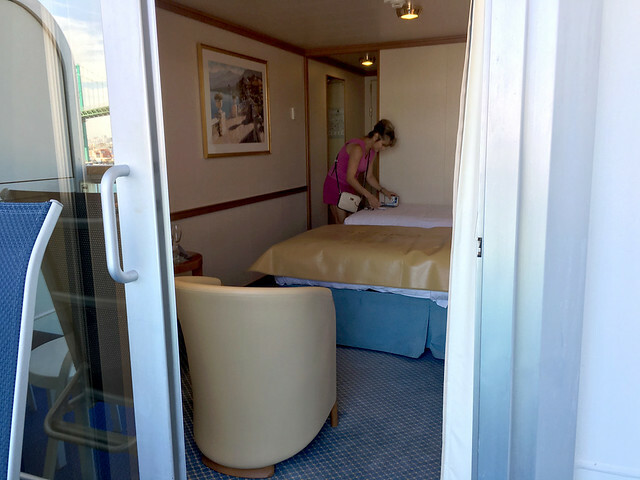 My sister and I shared a balcony state room on the Aloha deck. We were surprised at how large it felt for 231 square feet! More about the rooms here. 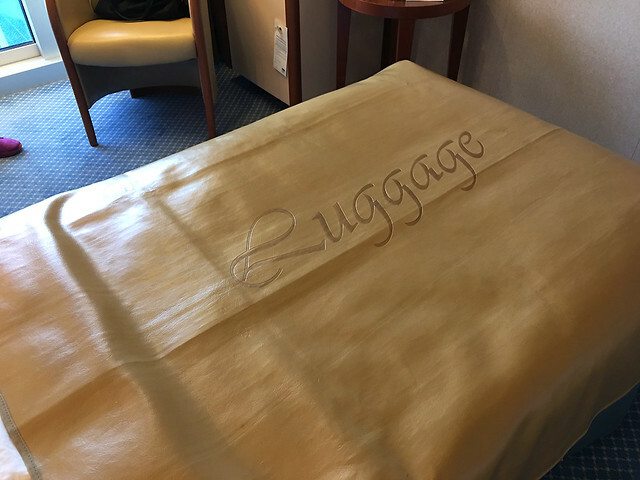 One of the beds were covered for with a heavy vinyl blanket for unpacking. 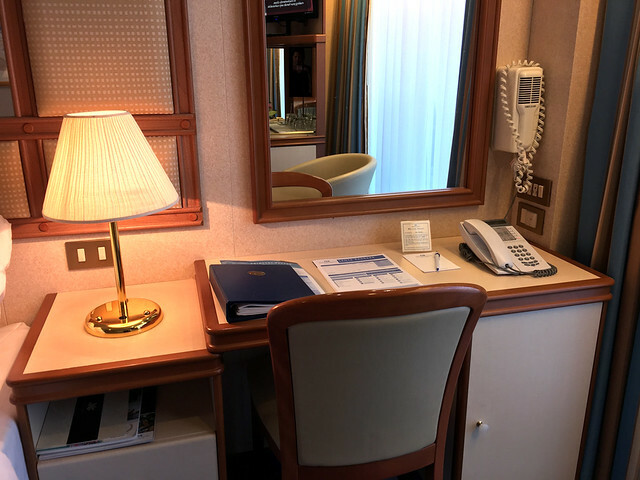 The small card on the desk lists the direct paging number for your stateroom steward. Joey was awesome! 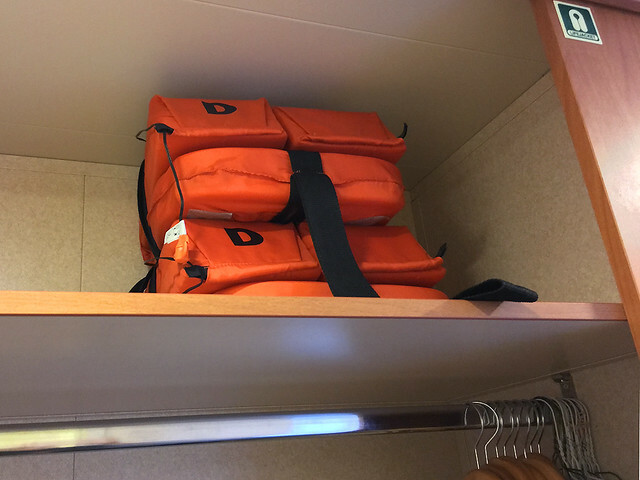 Life Jackets easily accessible from the closet. Comfy robes awaiting and room safe nearby. Those are two full-size suitcases on the shelf. Plenty of room for both of us. 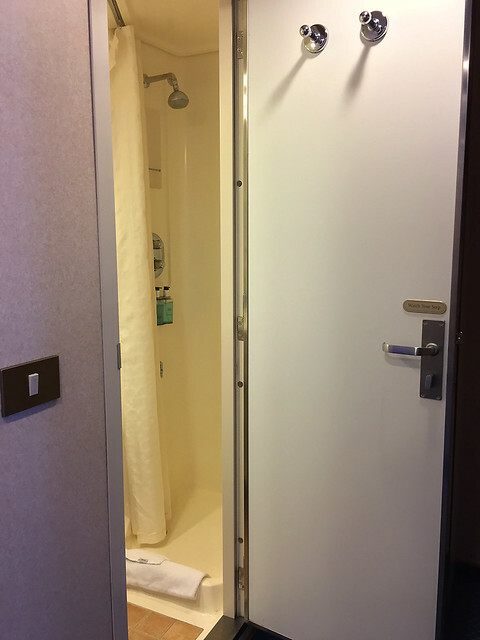 The small bathroom was next to the closet. It had a full shower, sink and toilet. Looking out to our deck. 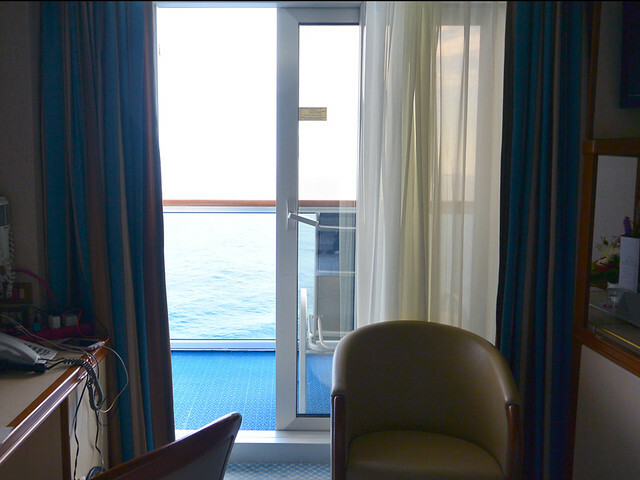 Our room was Balcony Stateroom A631. Plenty of room for coffee in the morning and more importantly, wine (and champagne) in the evening. View into the room (with my sister Janet). The Princess Patter guide will be placed near your door every day (note the date below the top image). Do take time to read it thoroughly so you do NOT miss a thing! 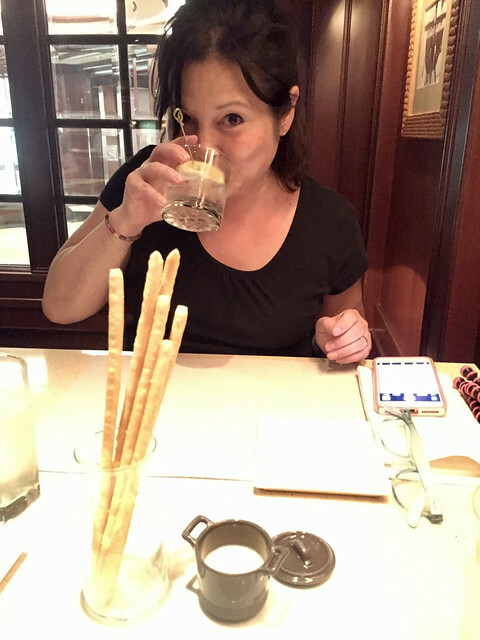 And because I do adore her… an older blog post…. 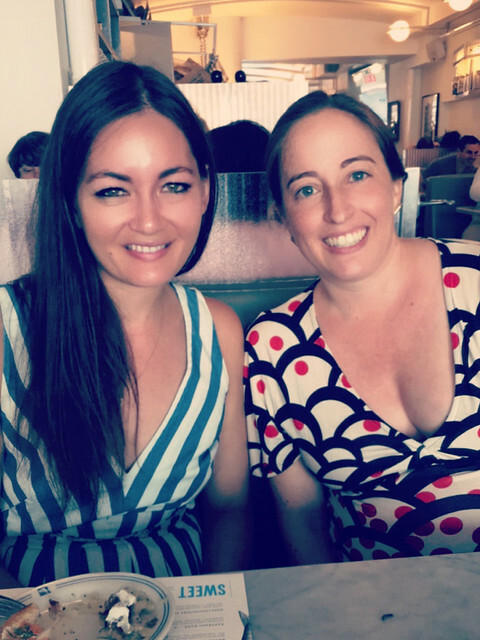 A love letter to my big sister. Actually, it should read, “I Survived A Cruise With My Sister”! Or perhaps, “My Sister Survived A Cruise With Me”. My big sister Janet (left in pink) and I could NOT be more different, yet we BOTH had a wonderful time aboard the Ruby Princess (Princess Cruises). Photo above taken as we disembarked for a day in Ensenada. 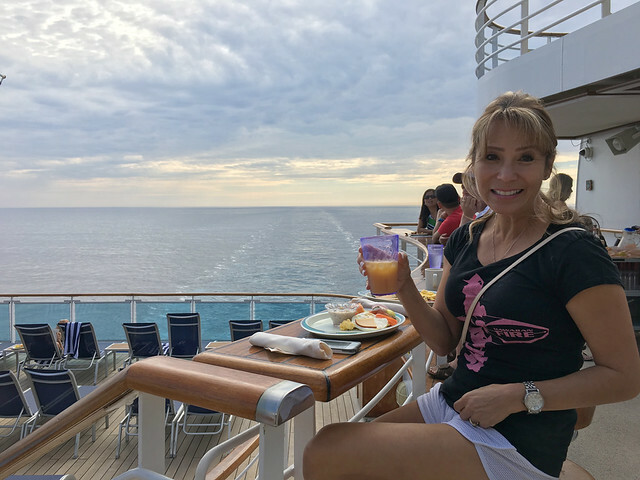 You can view some trip photos on instagram and twitter by searching the hashtag #JoJanetCruising (or #MyLastBiteTravels). I’ll be posting a full blog post in the near future. Check back soon! “100 years, 4 generations and 1,800,000 pounds of pickled herring” refers to one of my favorite documentaries, The Sturgeon Queens. 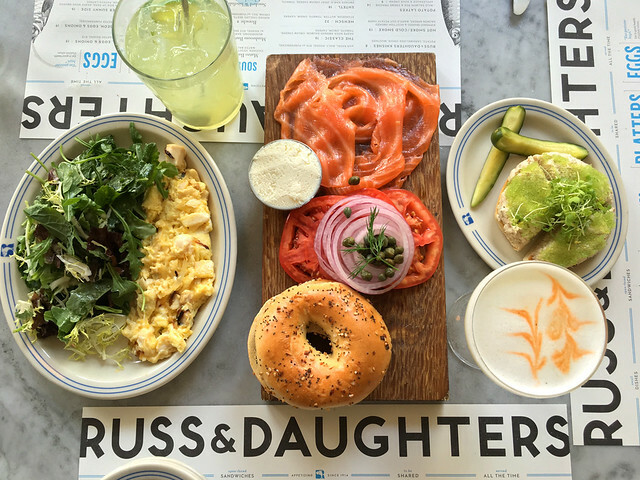 The film is about the family behind Russ & Daughters, the beloved New York institution. In the early 1900s, Joel Russ got his start selling schmaltz herring out of a barrel to Eastern European Jews on the Lower East Side. I don’t want to share too much of the story here, because The Sturgeon Queens really is worth watching. This heartwarming film is directed by Julie Cohen and you can rent or purchase The Sturgeon Queen’s on iTunes here. Watch the trailer below. 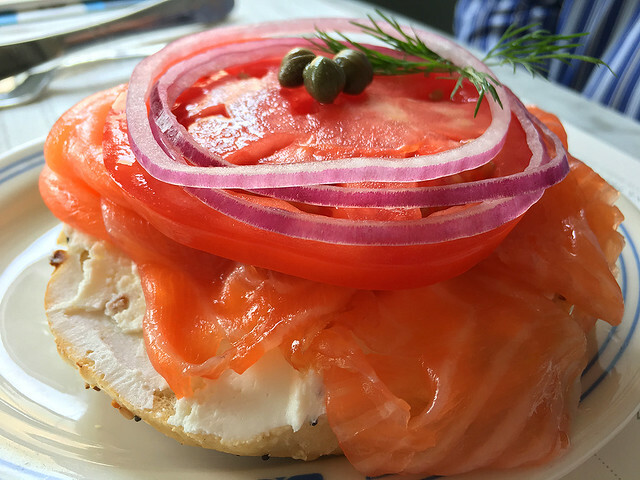 Joel Russ’ great grandchildren, Josh Russ Tupper and Niki Russ Lederman (cousins), took over the business in 2009, and in 2014 (the 100th anniversary) they opened Russ & Daughters Cafe. 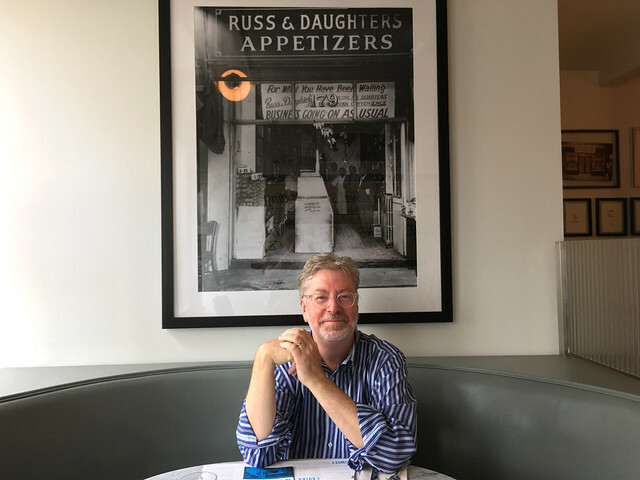 Russ and Daughter’s Cafe is such an adored spot for locals and visitors alike. Unless you get there before they open, you’ll (most likely) be waiting quite awhile for a table. I went this past June and again this month (photos below) and it’s so very worth it! 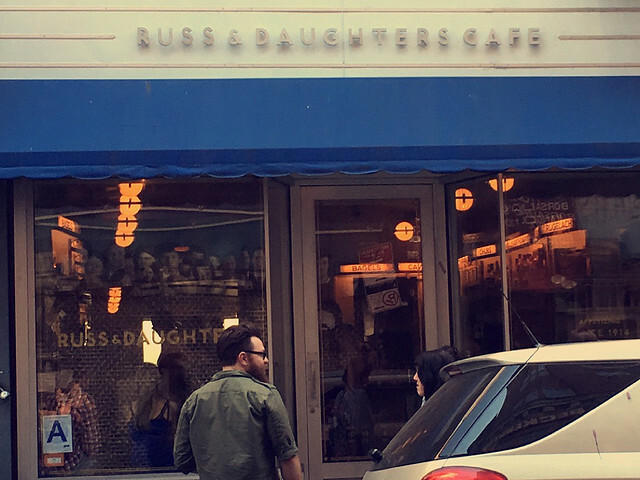 If you’re planning on visiting Russ & Daughters (or the shop nearby), and haven’t seen The Sturgeon Queens, do watch the movie before you go. It will absolutely make you appreciate every bite. 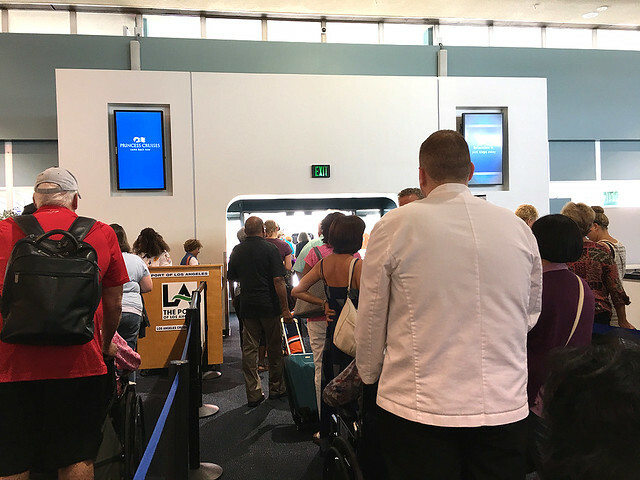 Getting in line (June 2016). This trip was a “girls trip” with my good friend Jenn. 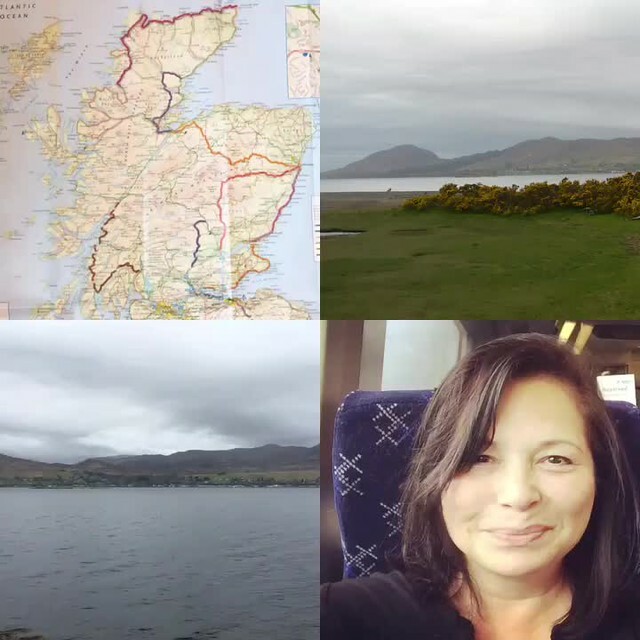 All our NY photos tagged on instagram with #JoJennNY. 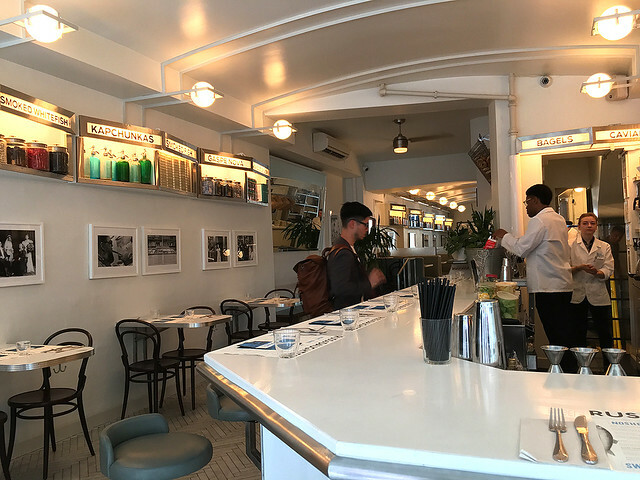 On our most recent trip, we got to the cafe an hour before they opened (Sep 2016). Still, we were SECOND in line. 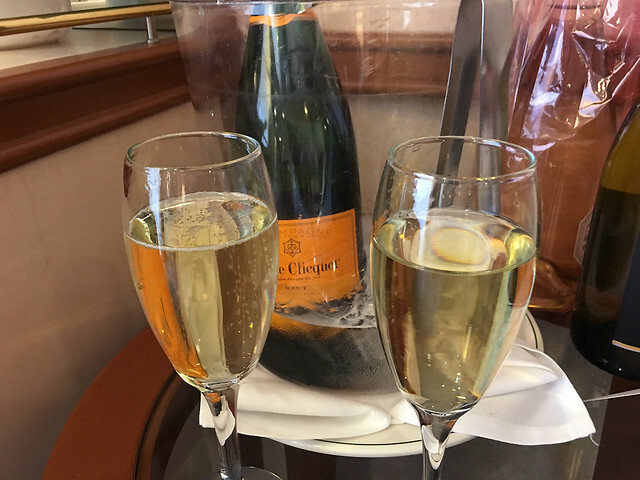 This September trip was an early 60th birthday fest for my husband Peter. Jenn joined us for the food-filled celebration. Photos tagged on instagram with #PPP60. 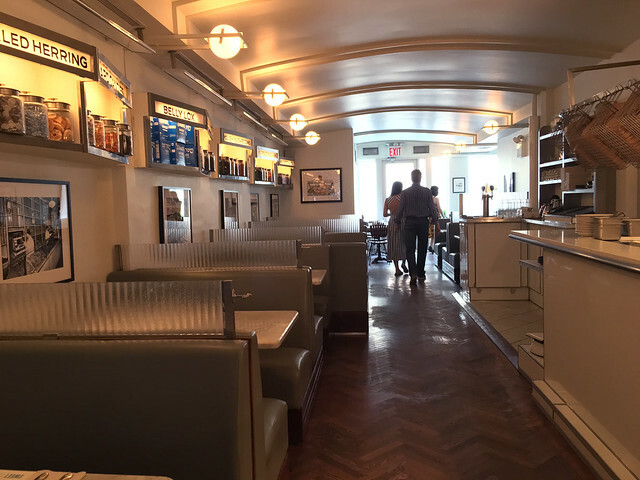 The cafe opened in 2014 but the decor is beautifully retro. 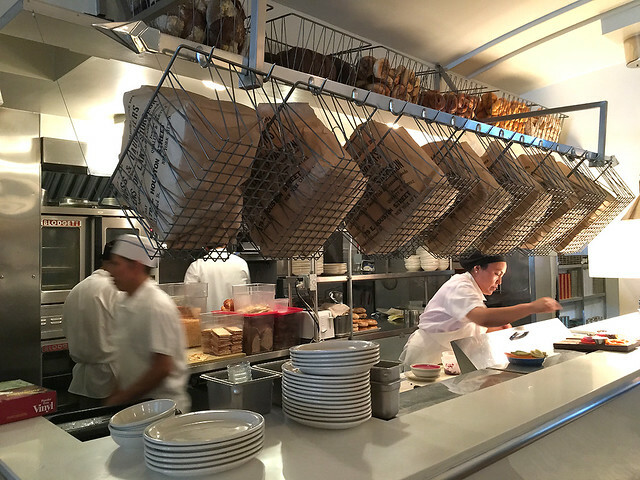 The shelves are similar to the originals in the shop (Russ & Daughter’s Appetizers). On holiday? Taking the day off? Definitely order the cocktails for some epic day drinking. 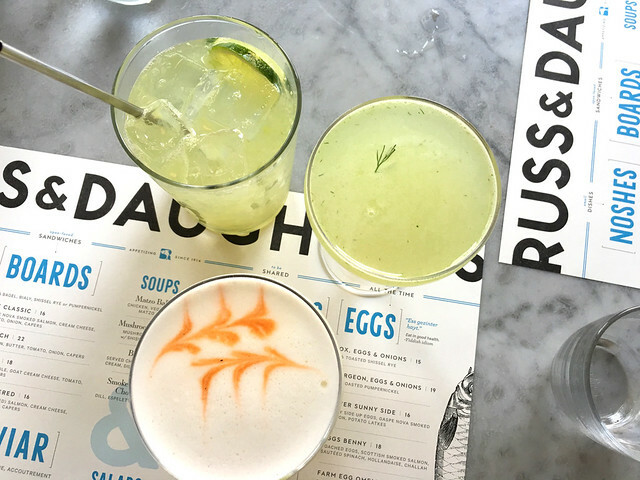 On both my visits I ordered the super, refreshing “Lower East Side” (top right). It’s made with Tanqueray gin, lime, dill and cucumber. Top left is a ginger soda with gin that Jenn ordered (off menu). Hubby Peter ordered the “Breakfast Martini” made with Beefeater gin, jam, lemon juice, egg white, Pernod Absinthe and Angostura Bitters. 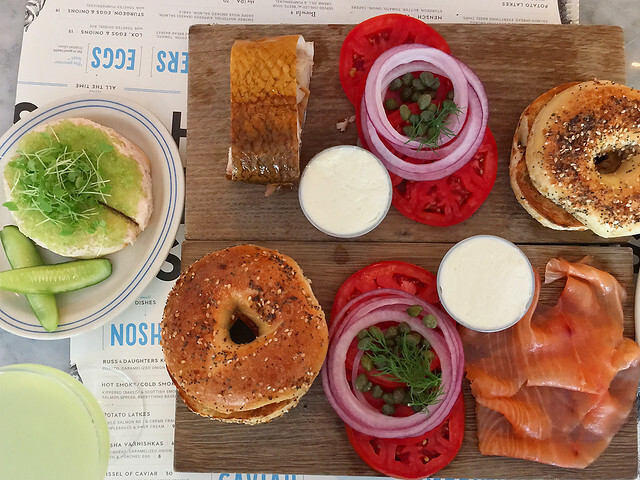 Sturgeon eggs & onion w salad, Lox & bagel, Super Heebster (our favorite) with whitefish, salmon, wasabi-infused roe, horseradish dill cream cheese. 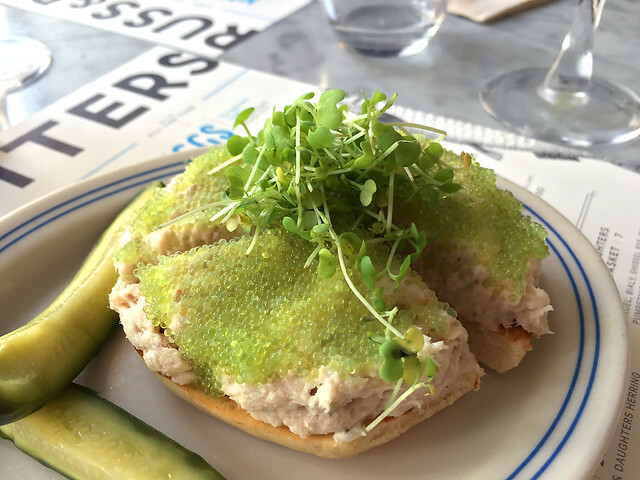 Closeup: Super Heebster Bagel with whitefish, salmon, wasabi-infused roe, horseradish dill cream cheese. Walking past the cafe kitchen. Hubby Peter so happy (Sep 2016)! Jenn with owner Nikki (from our June 2016 visit). 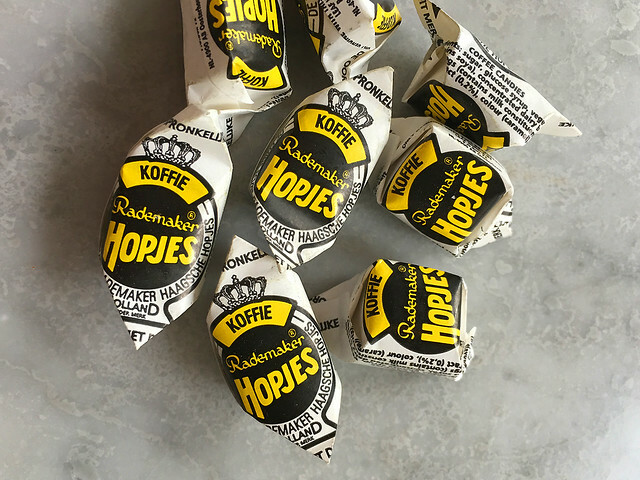 Don’t forget to grab your Hopjes when you get your bill. Bonus: If Becca is your server… it’s your lucky day!